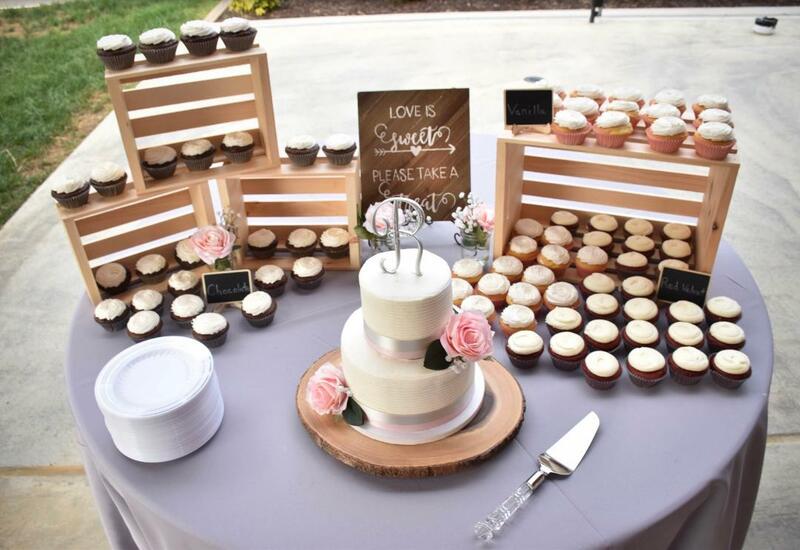 The sweetest part of your special day. 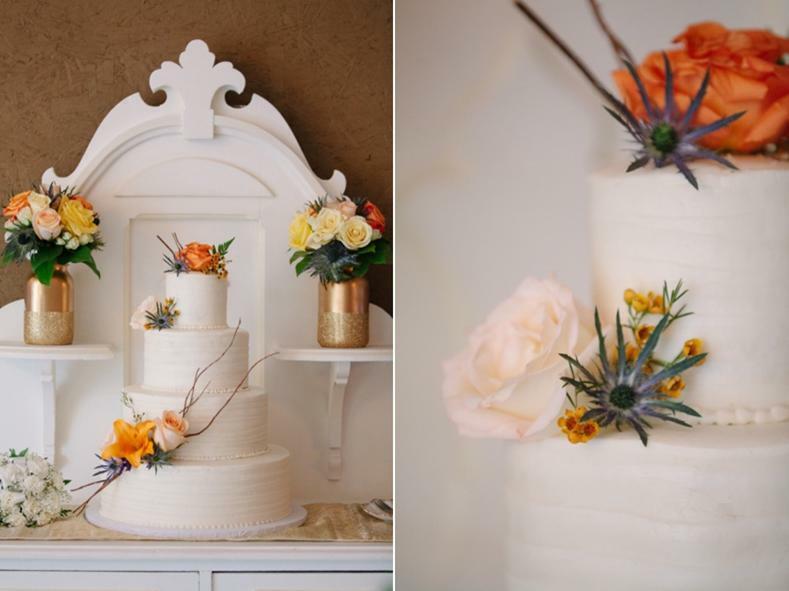 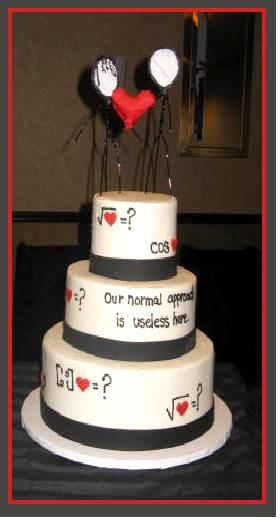 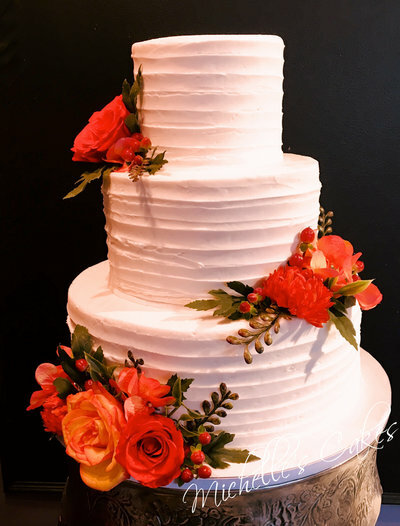 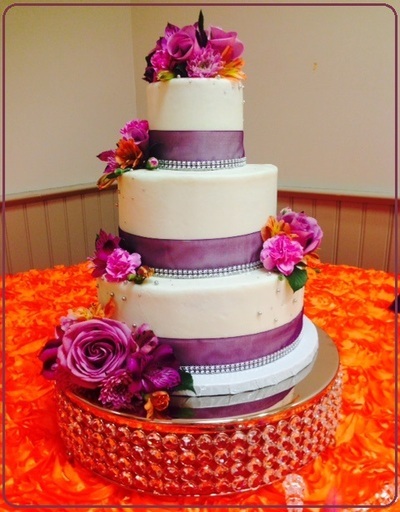 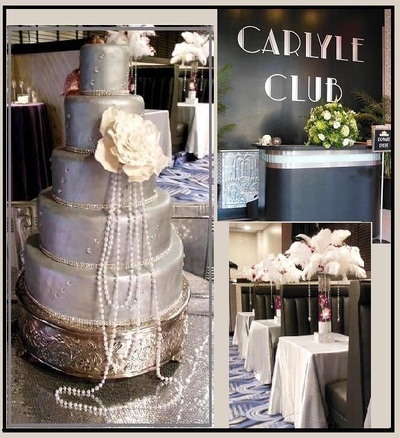 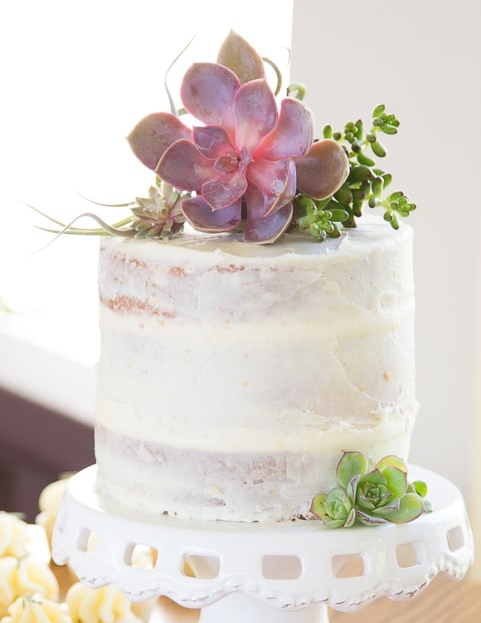 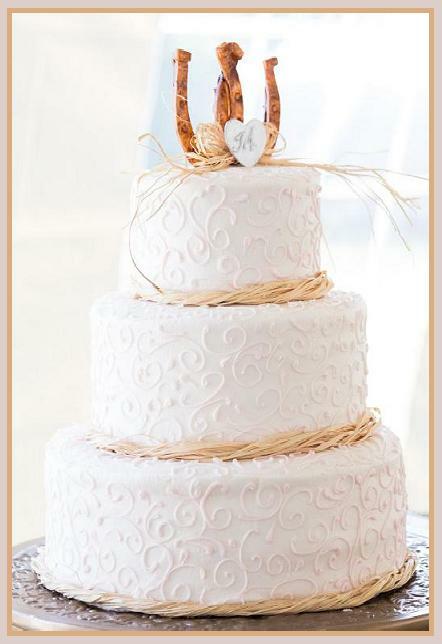 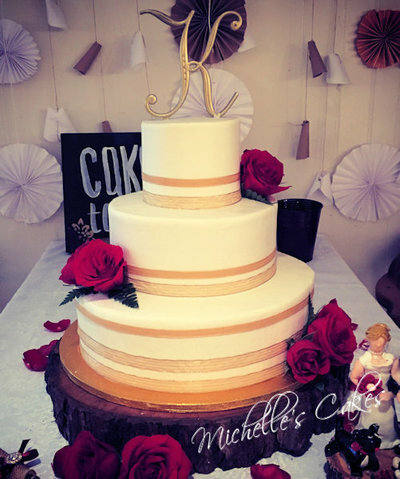 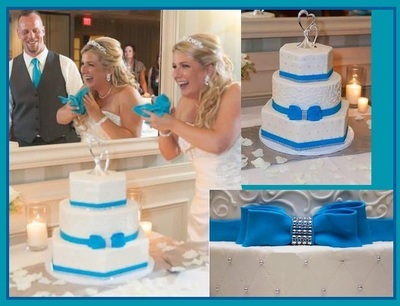 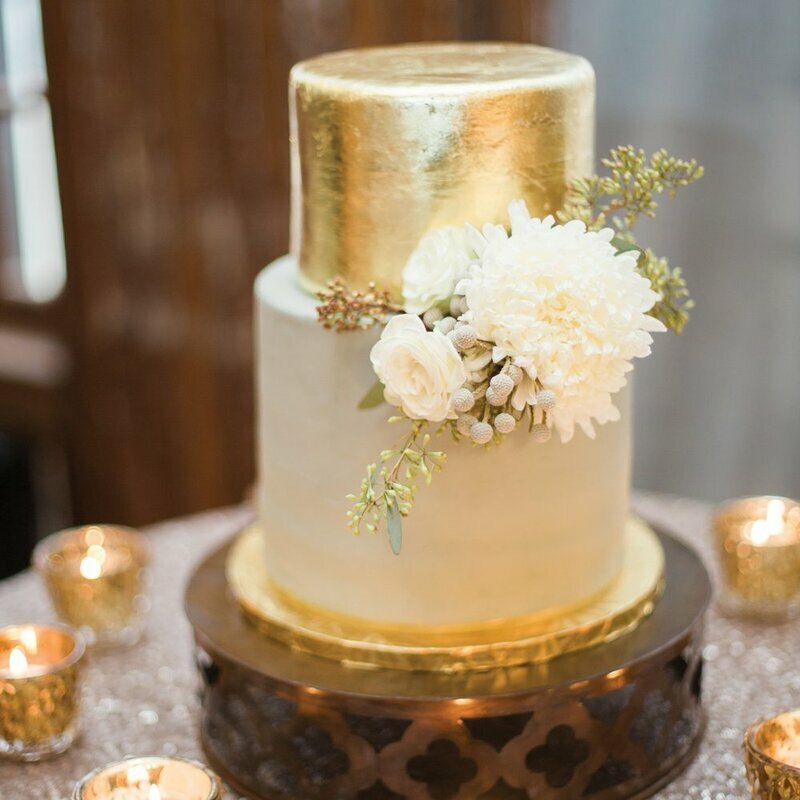 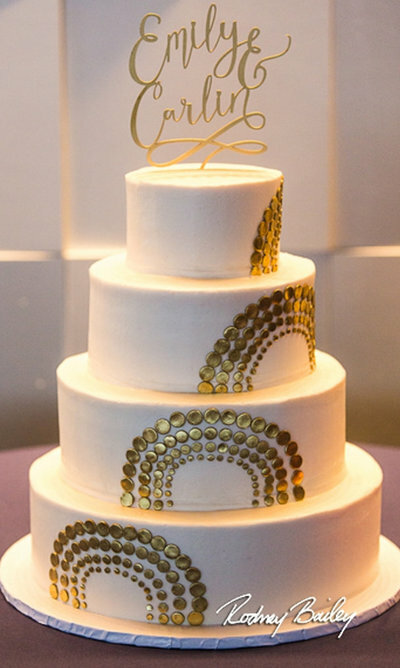 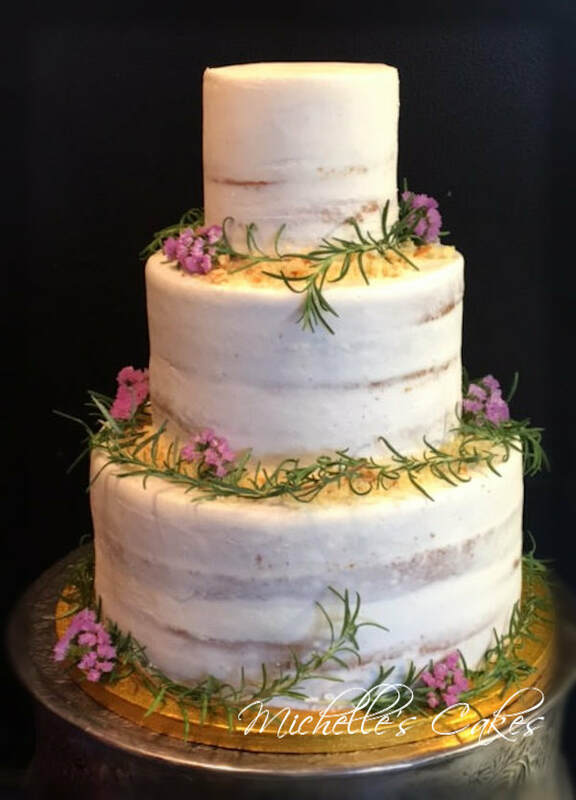 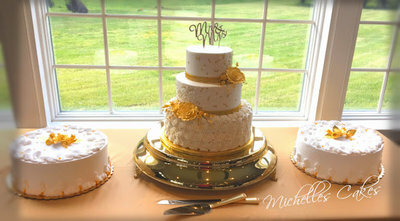 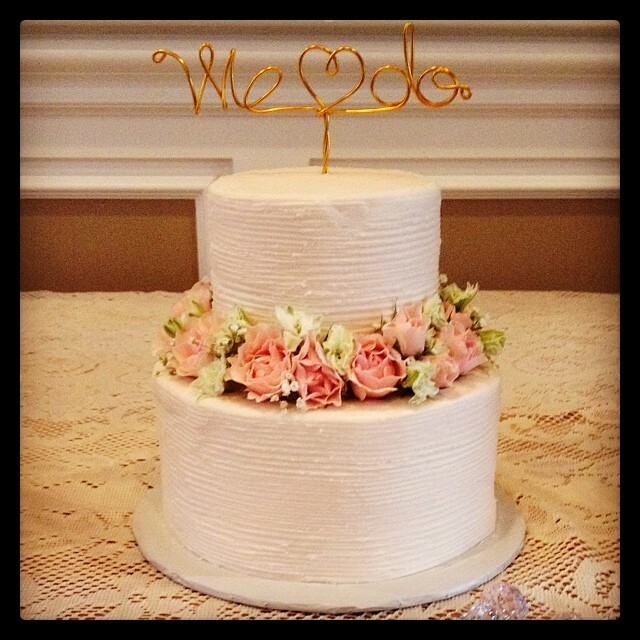 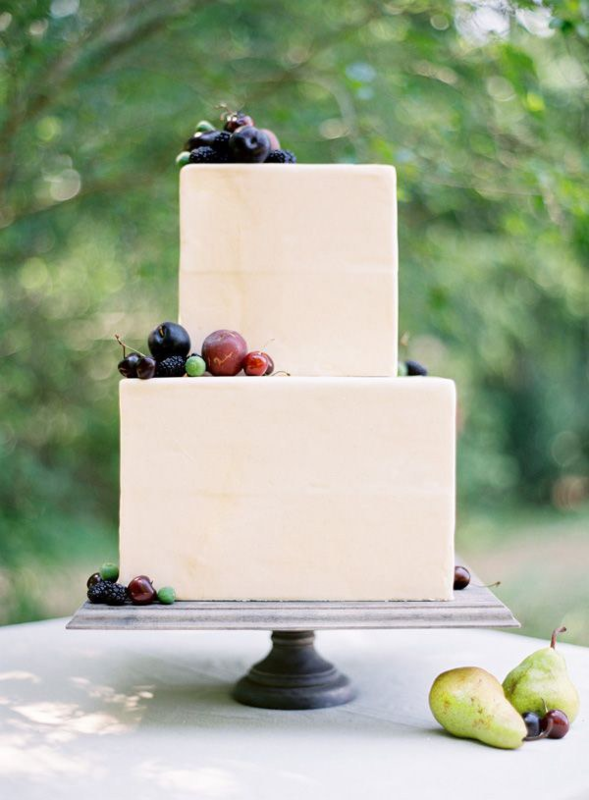 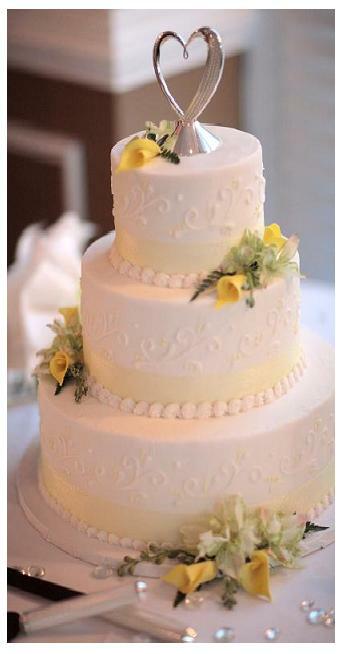 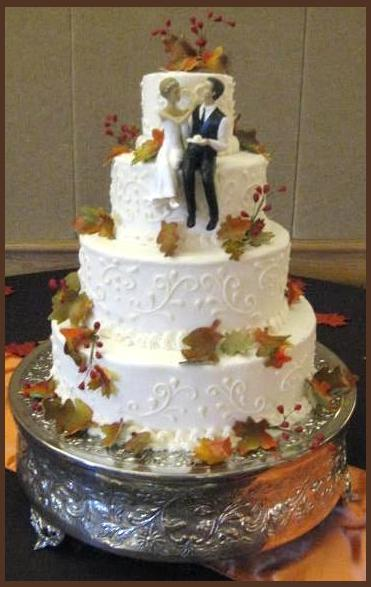 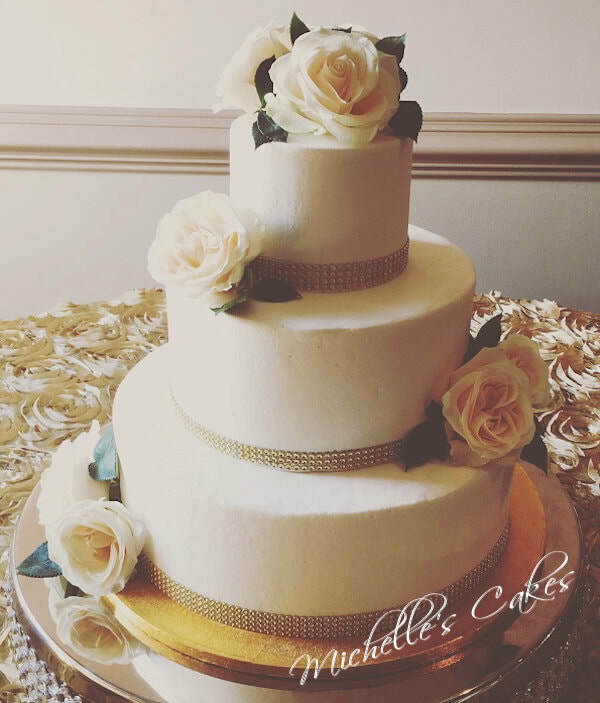 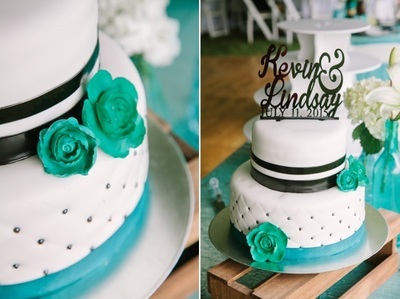 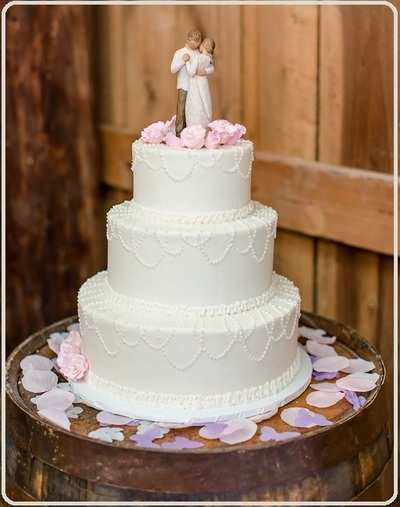 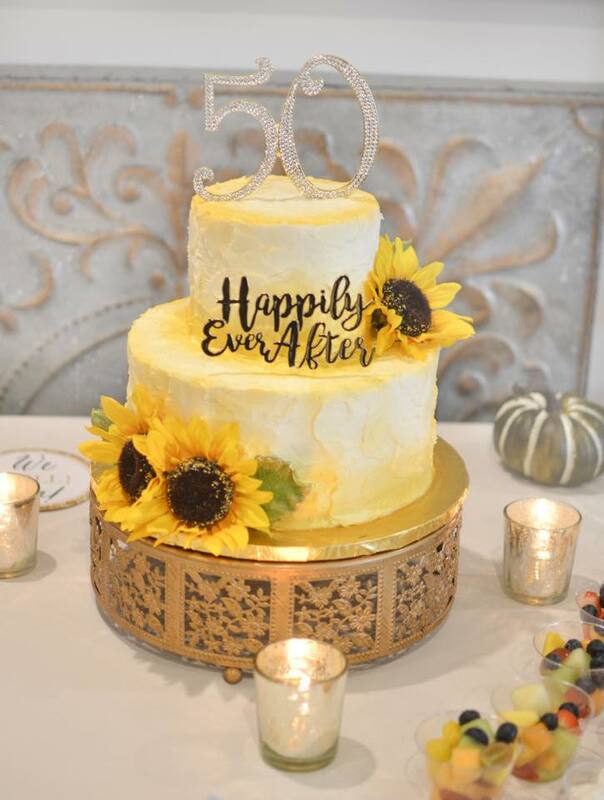 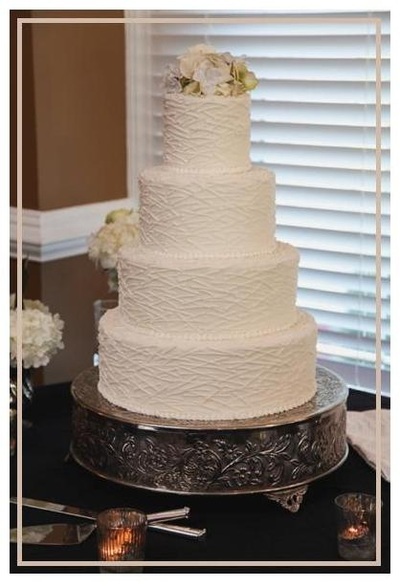 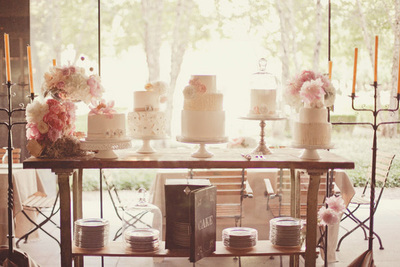 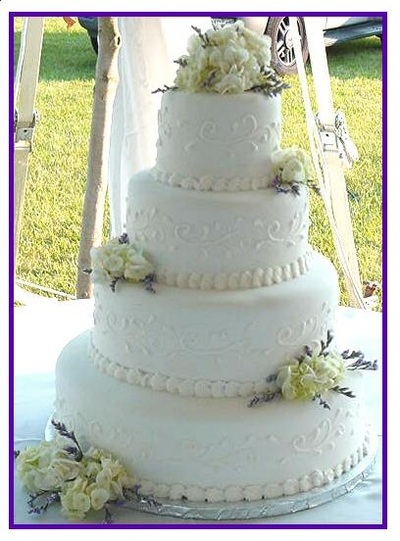 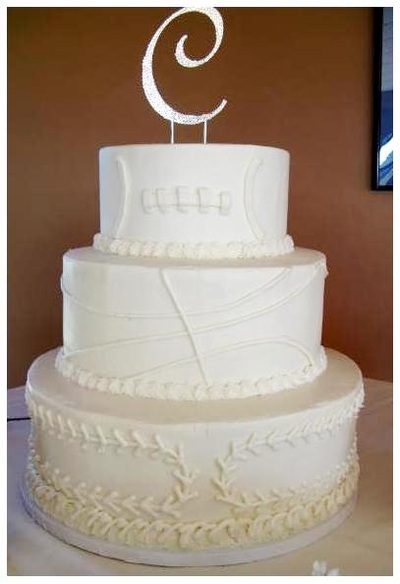 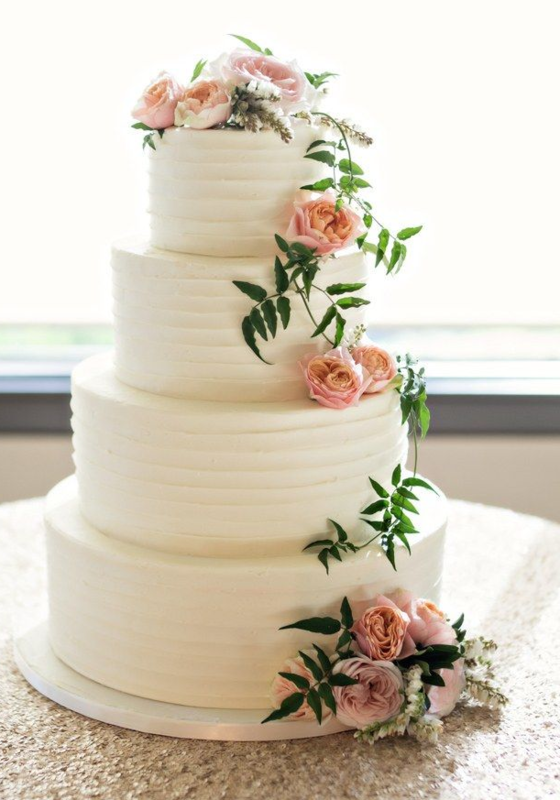 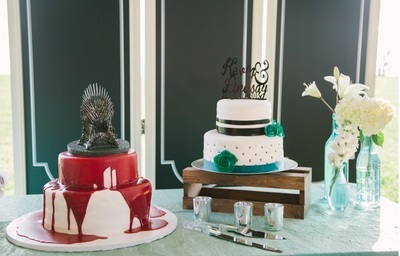 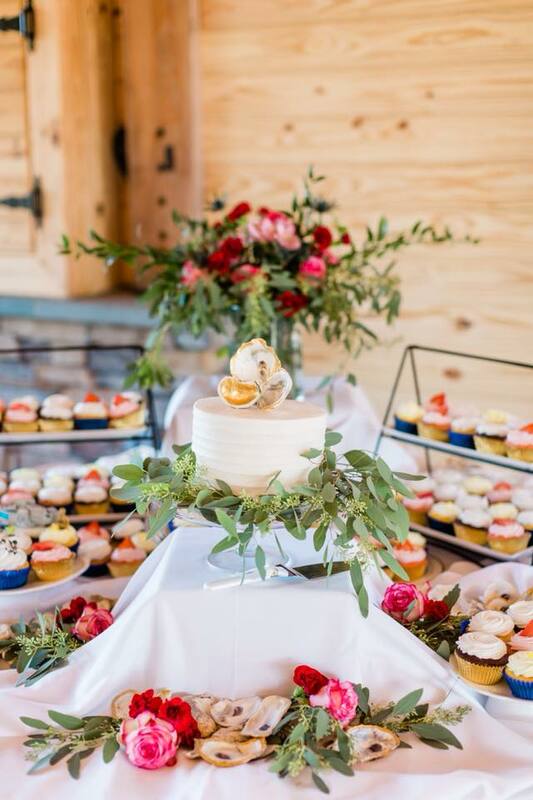 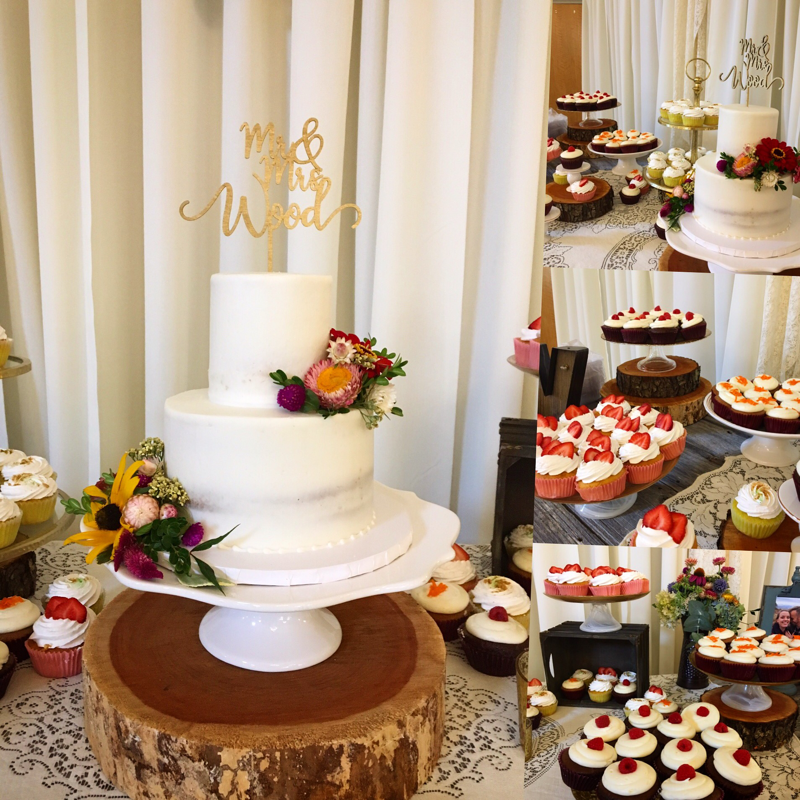 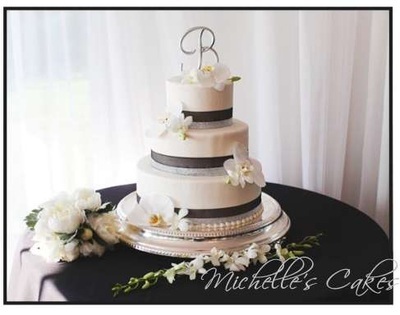 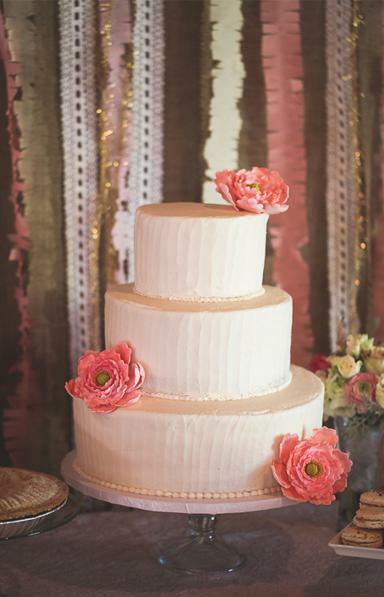 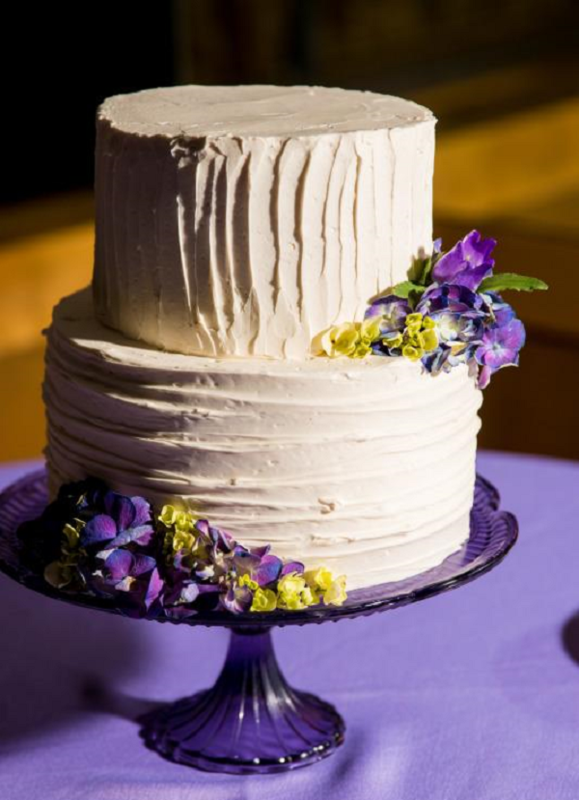 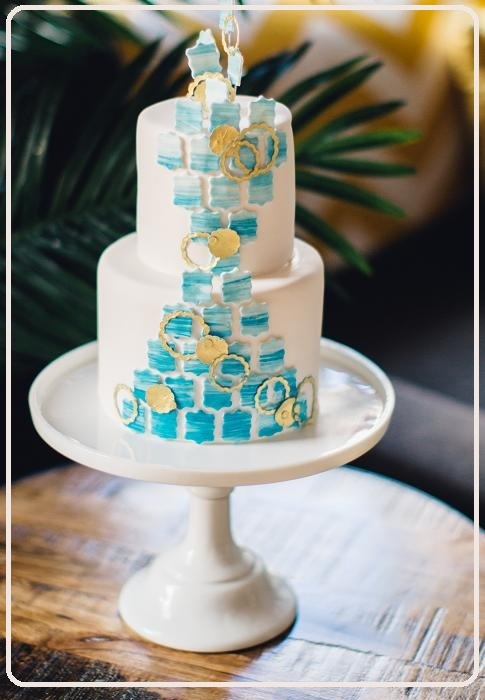 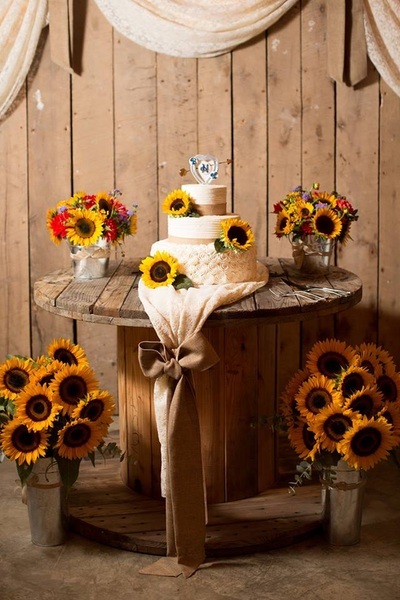 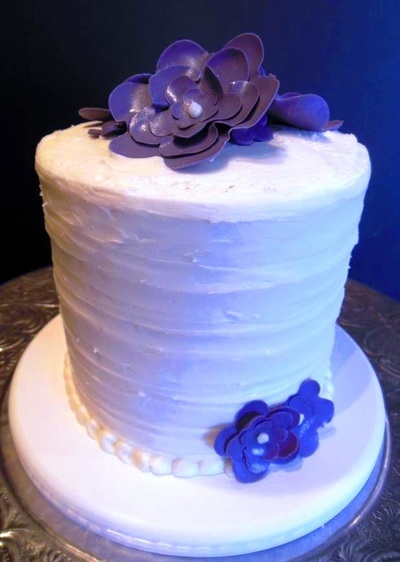 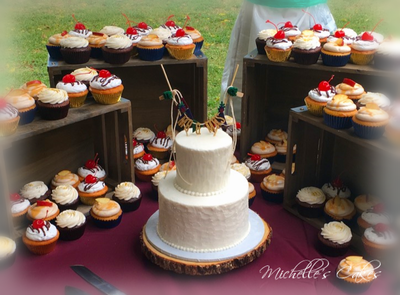 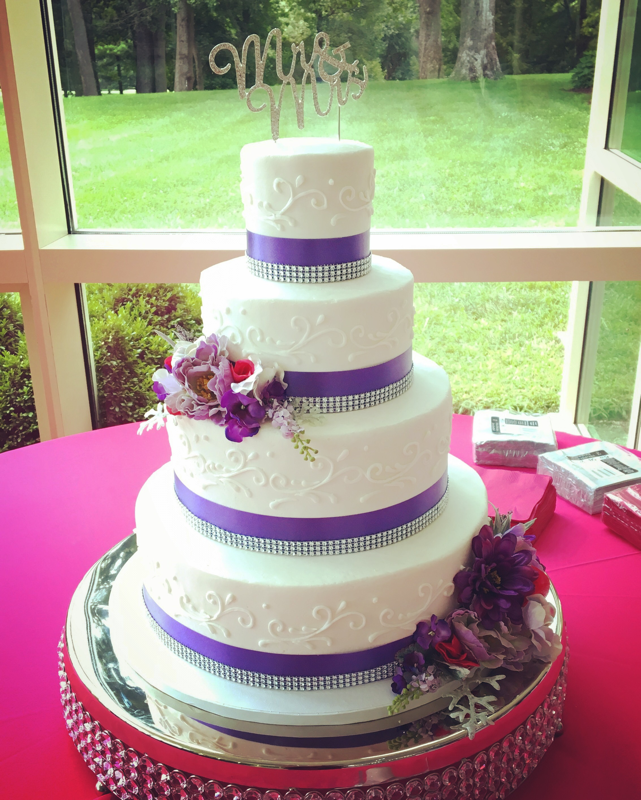 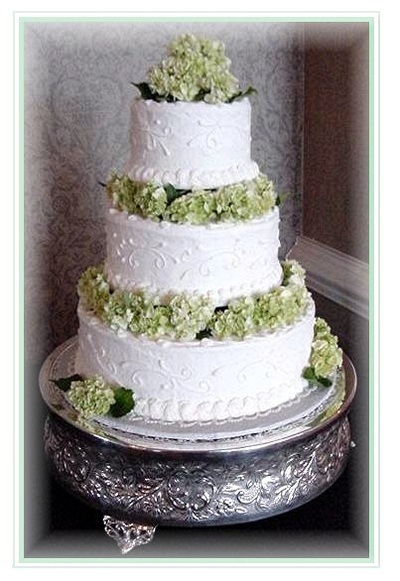 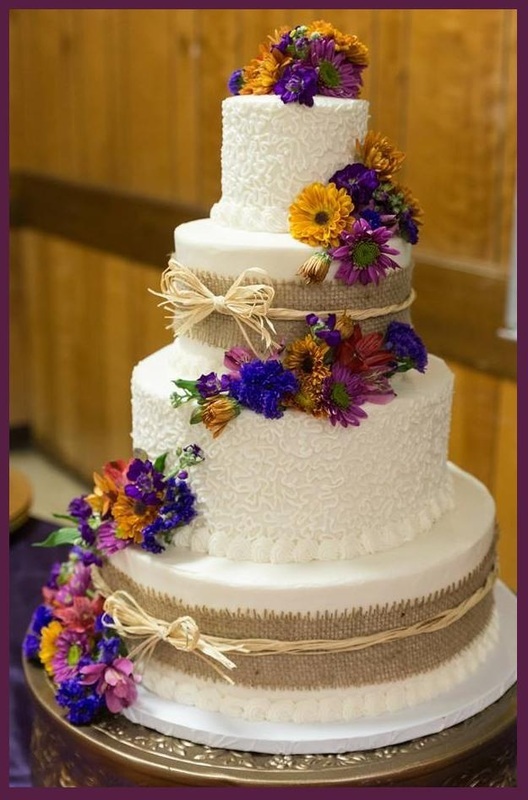 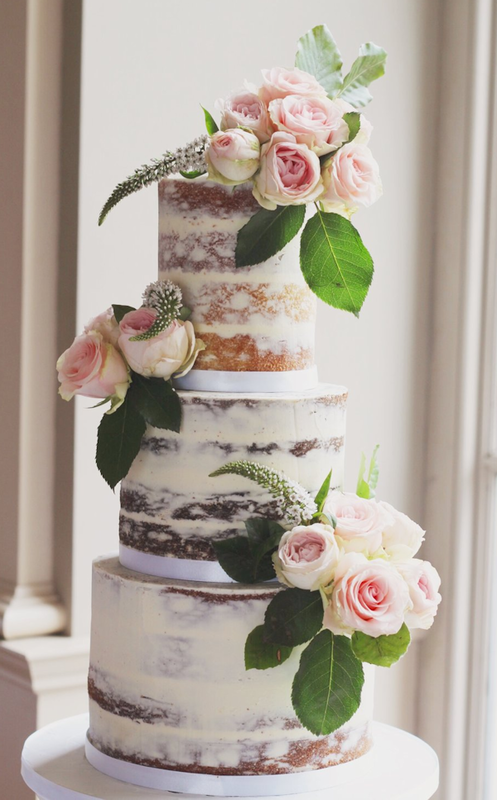 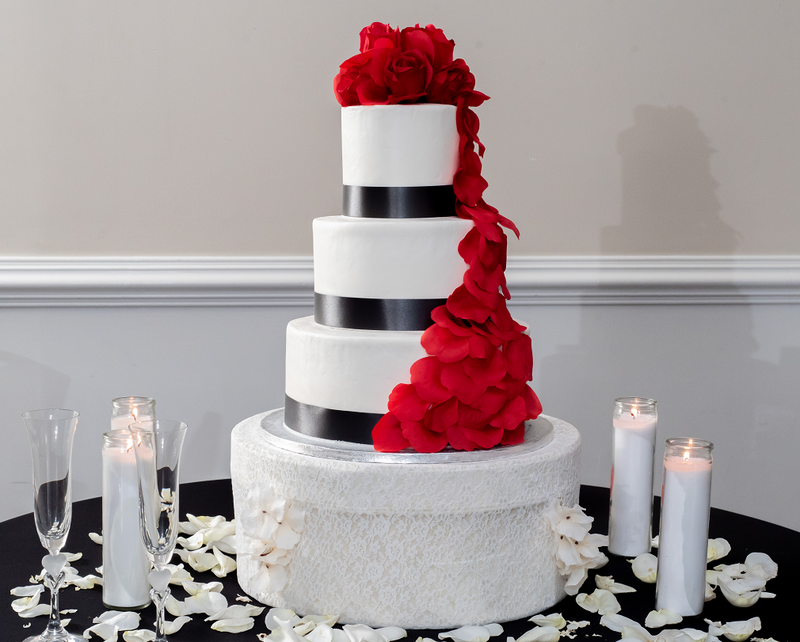 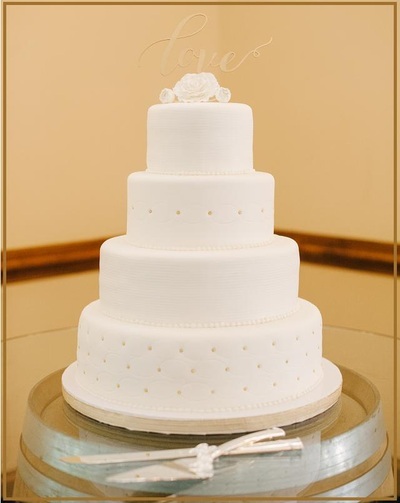 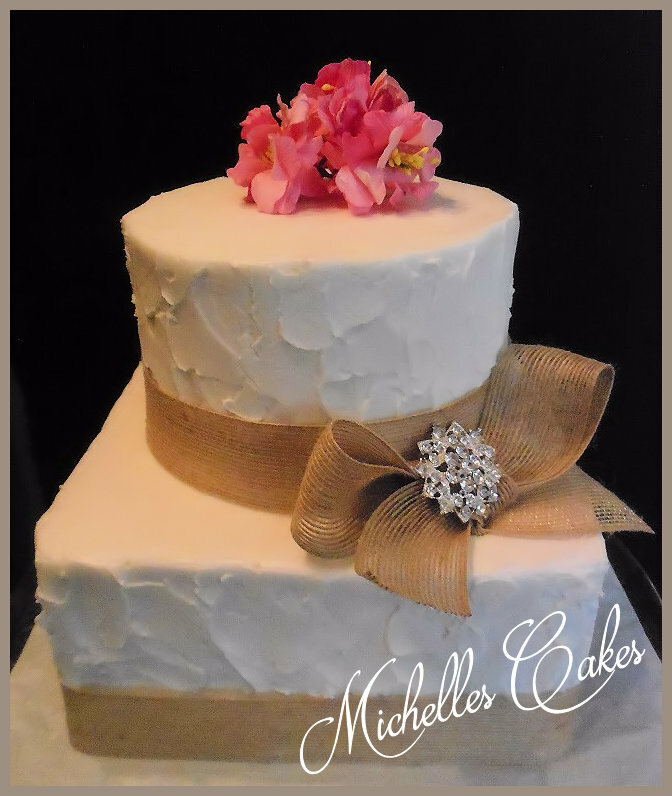 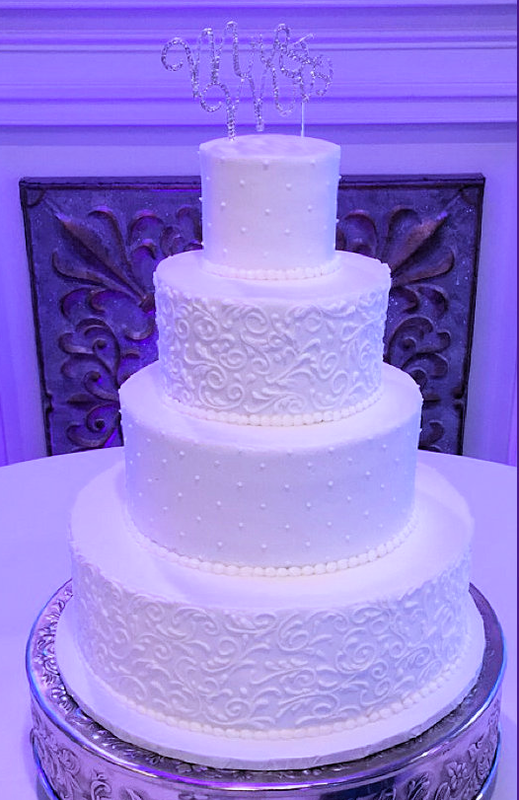 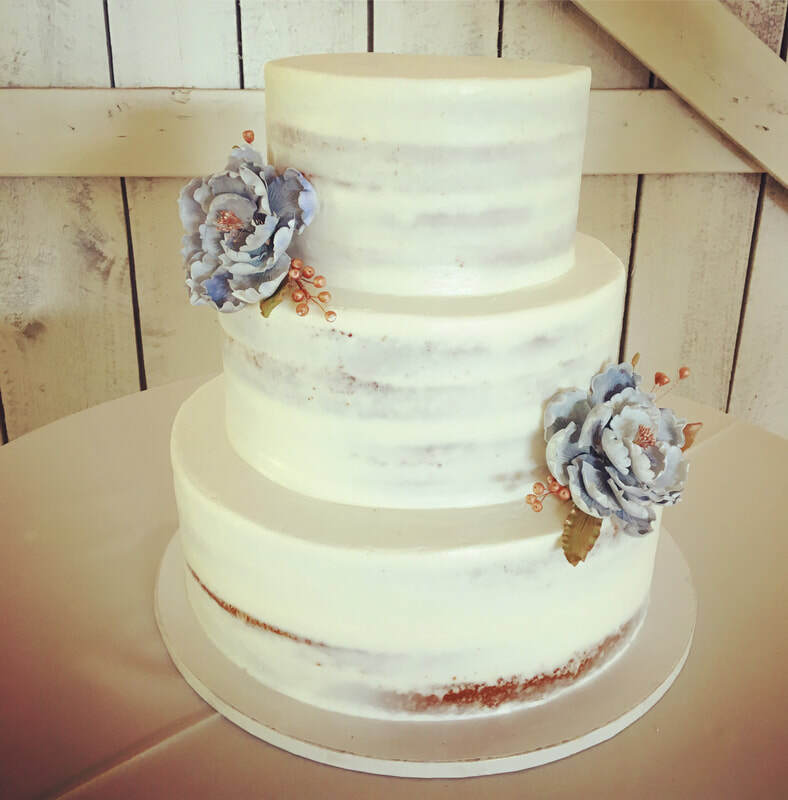 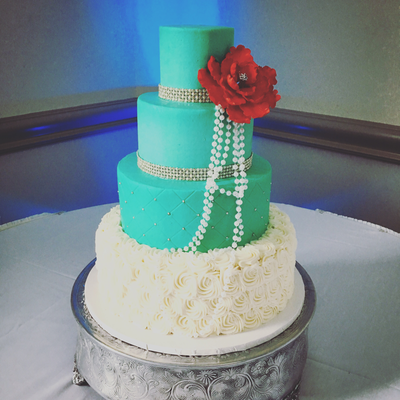 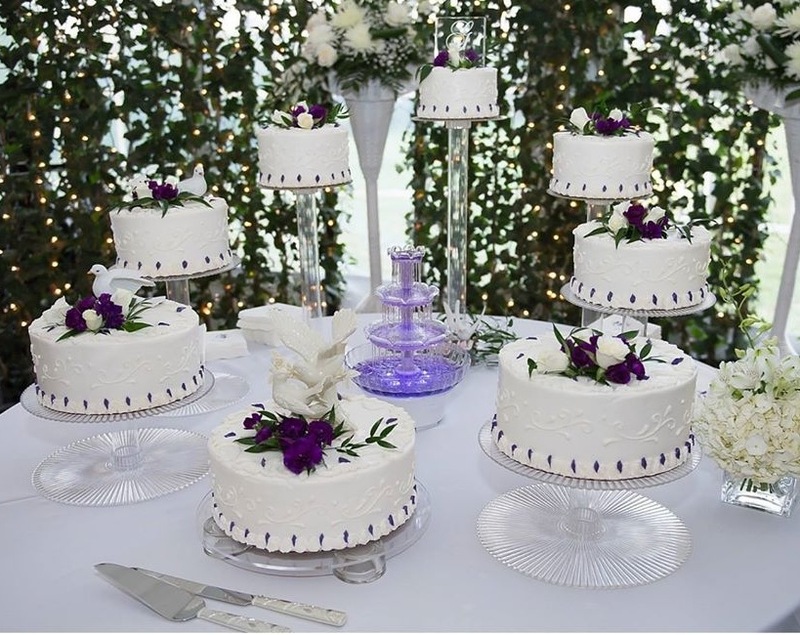 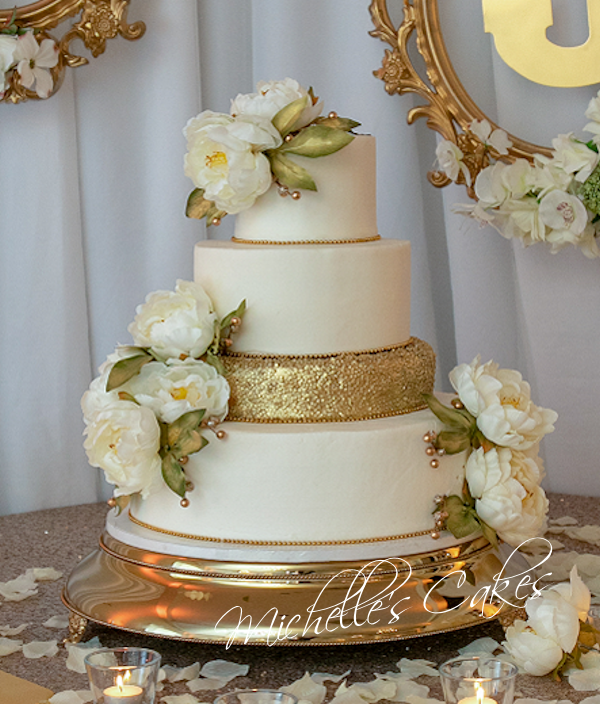 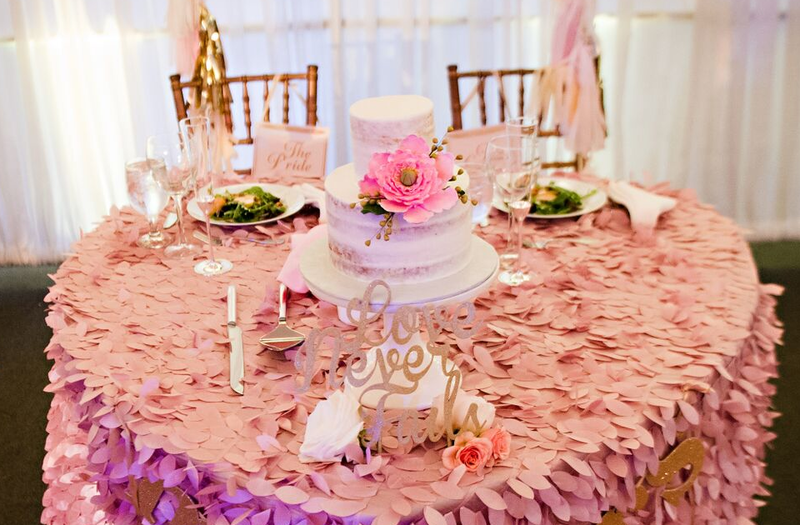 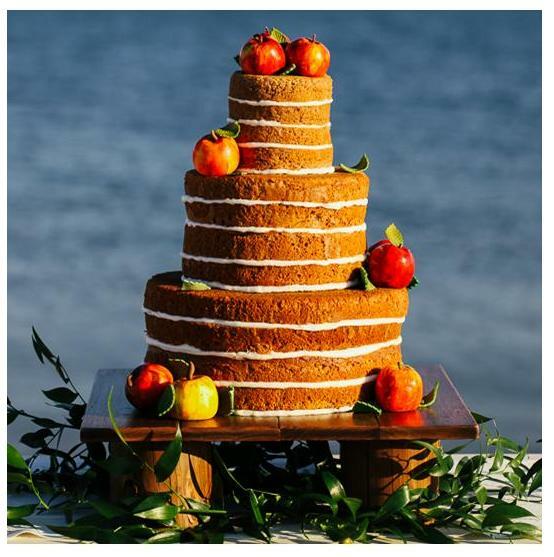 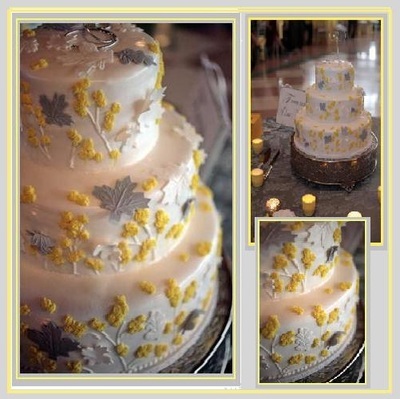 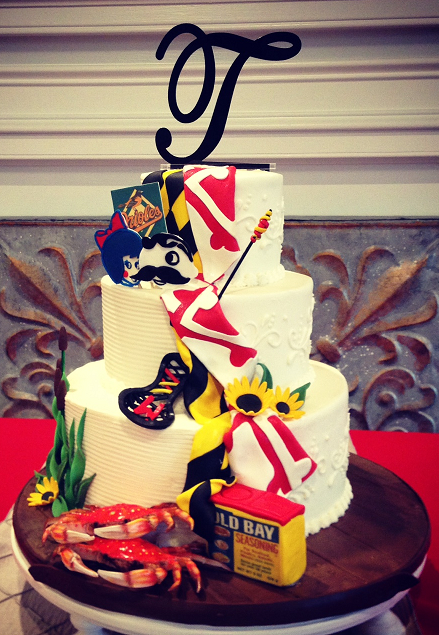 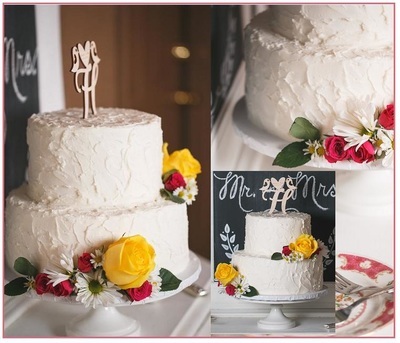 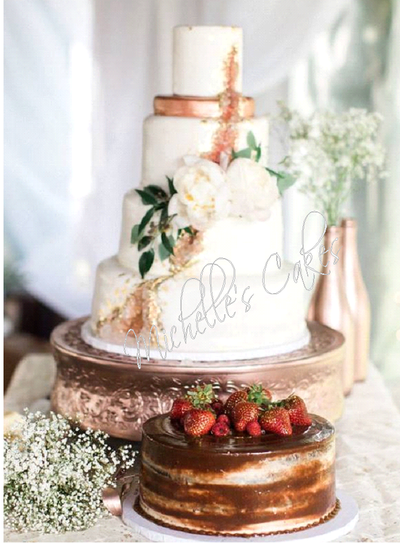 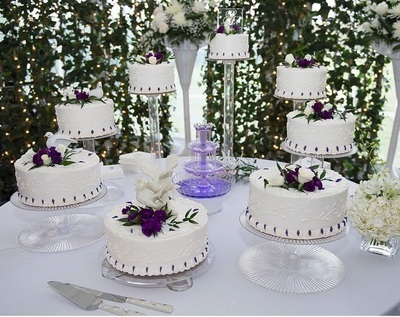 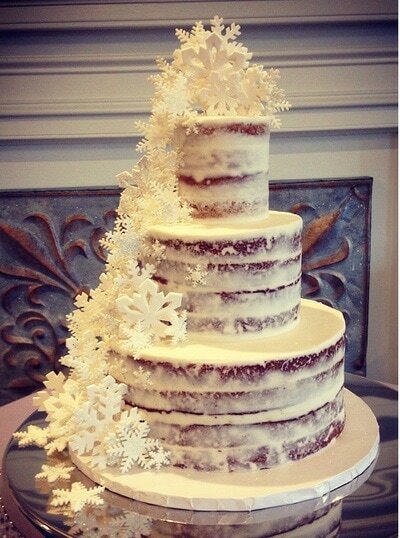 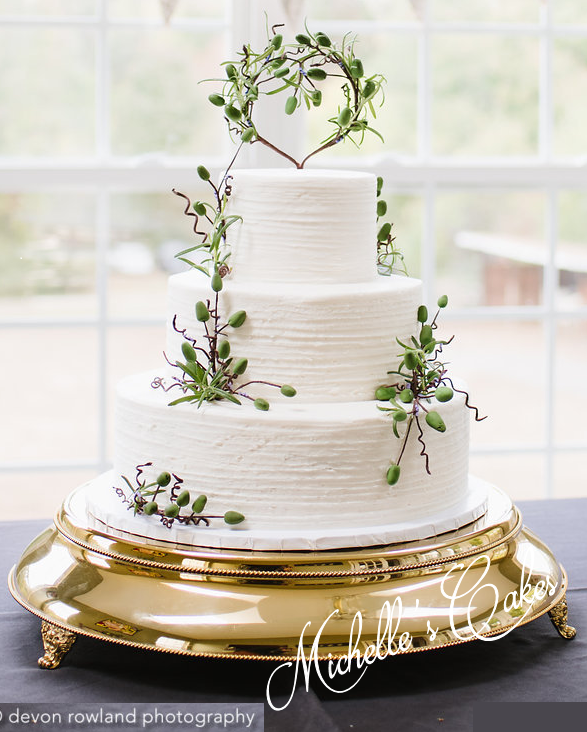 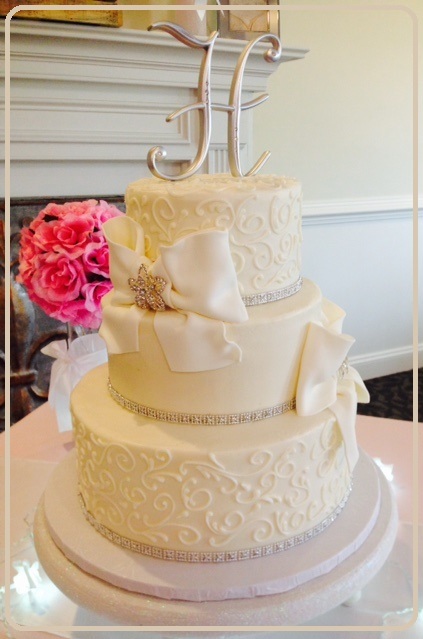 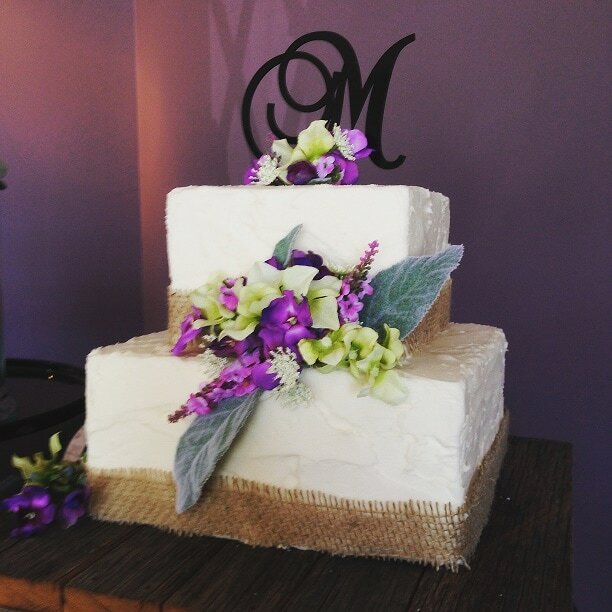 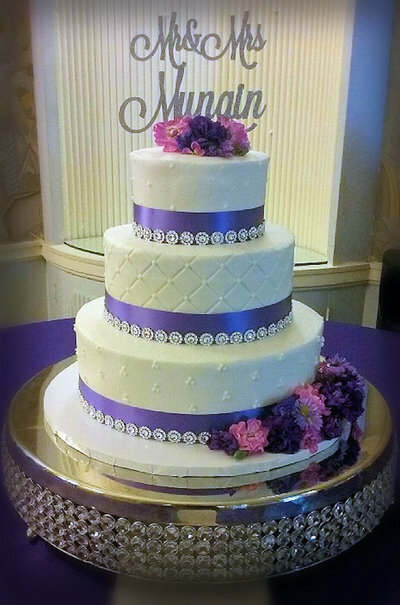 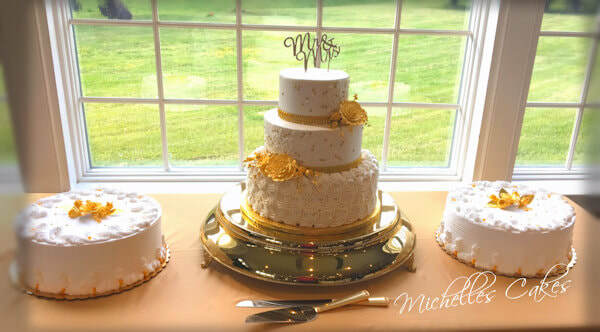 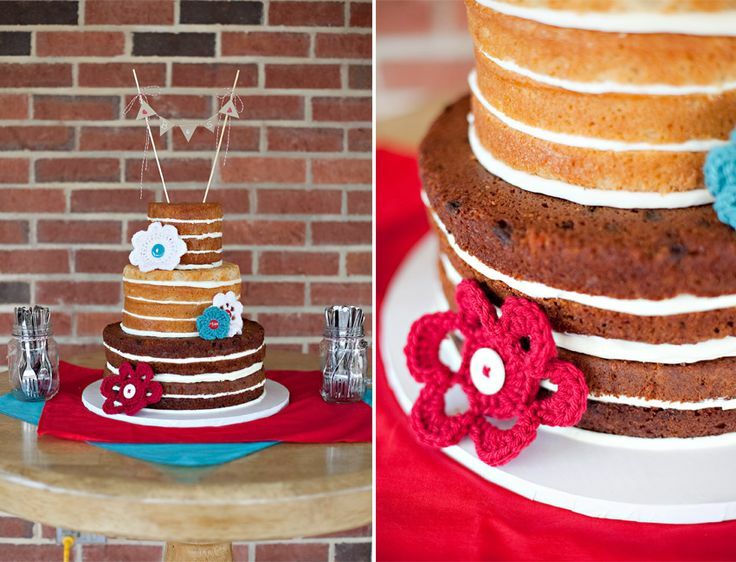 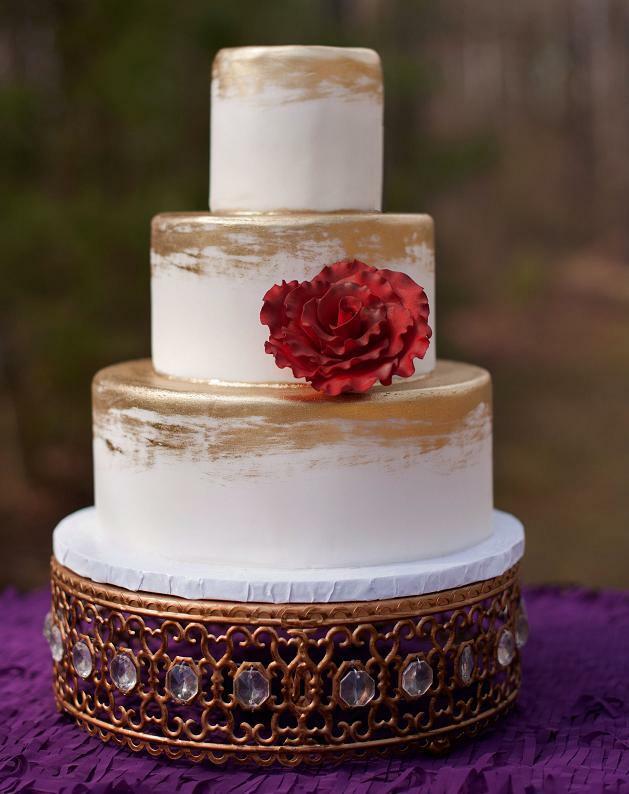 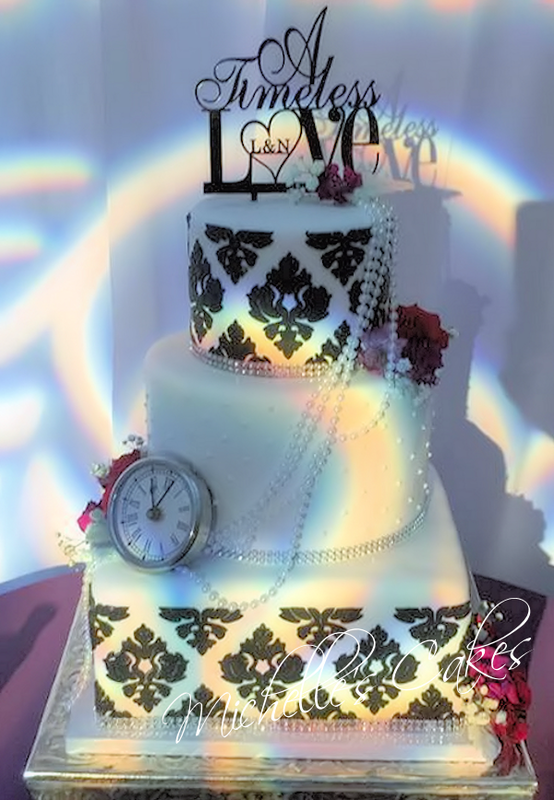 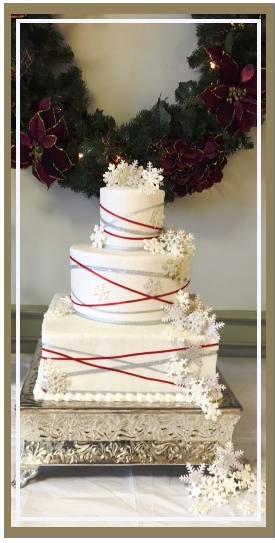 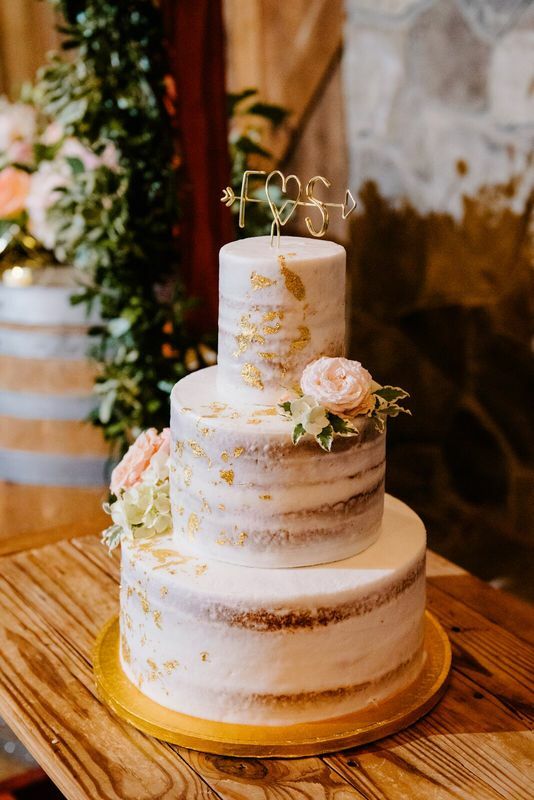 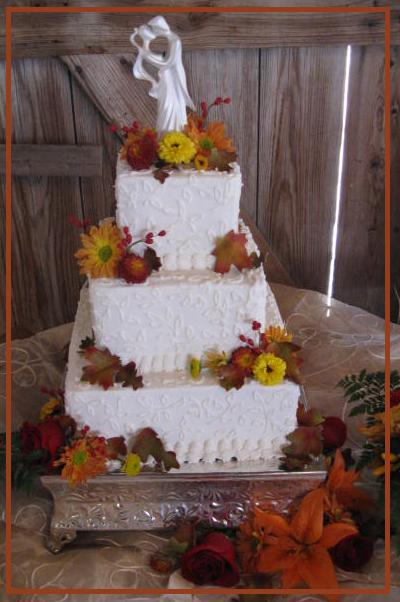 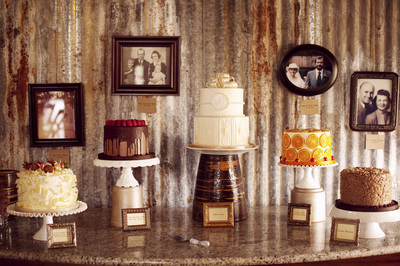 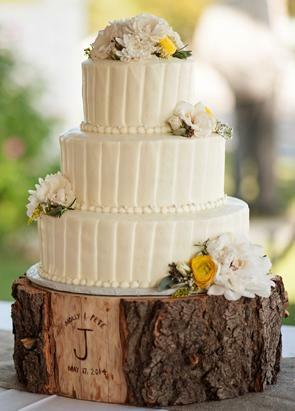 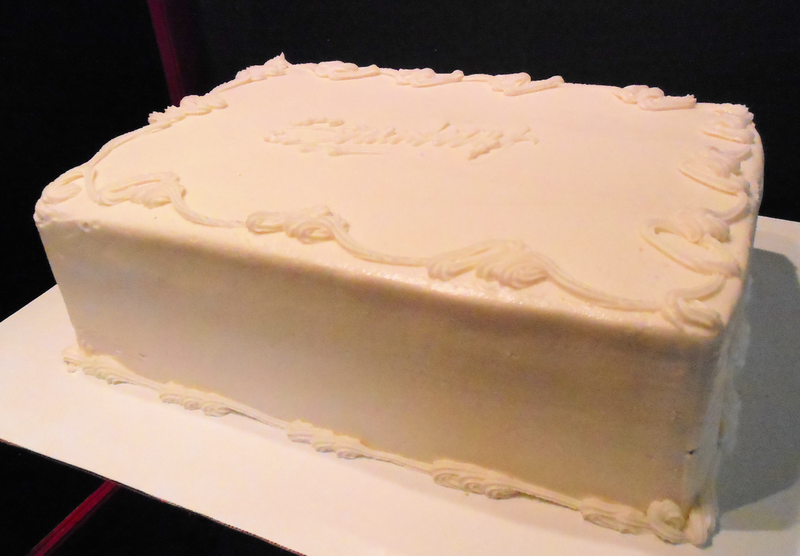 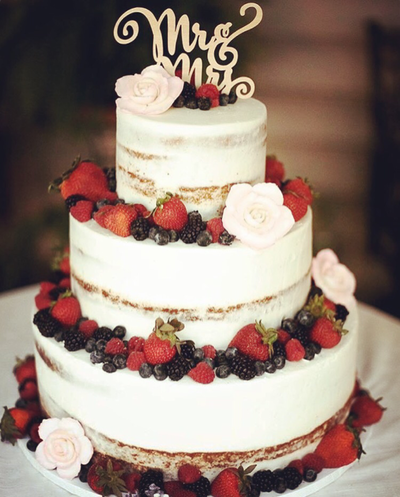 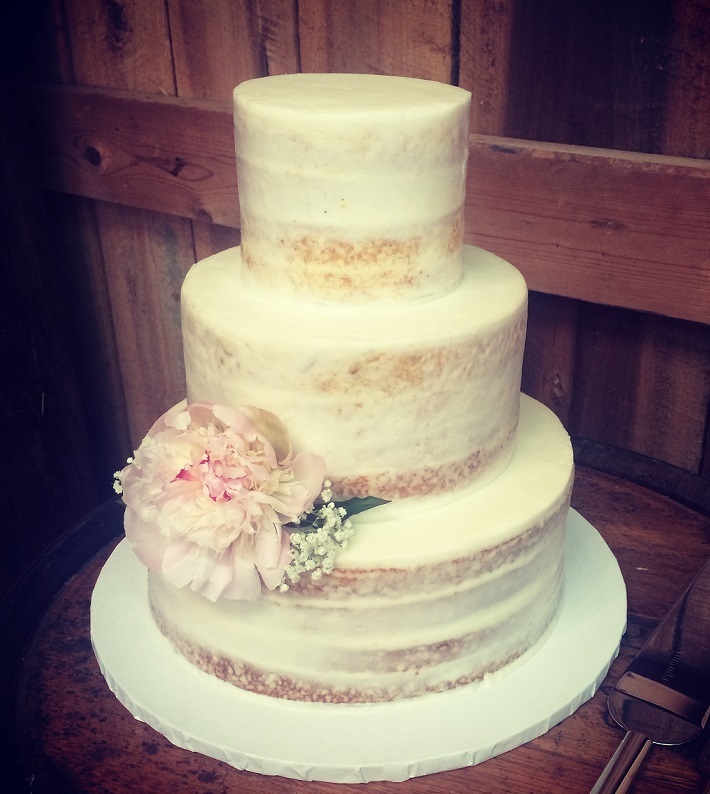 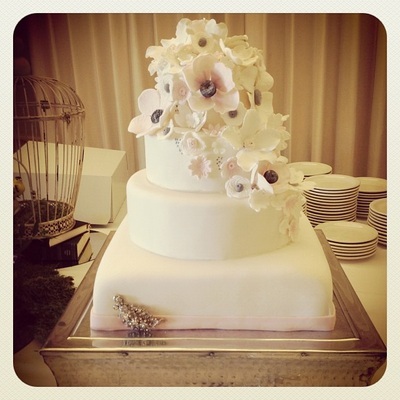 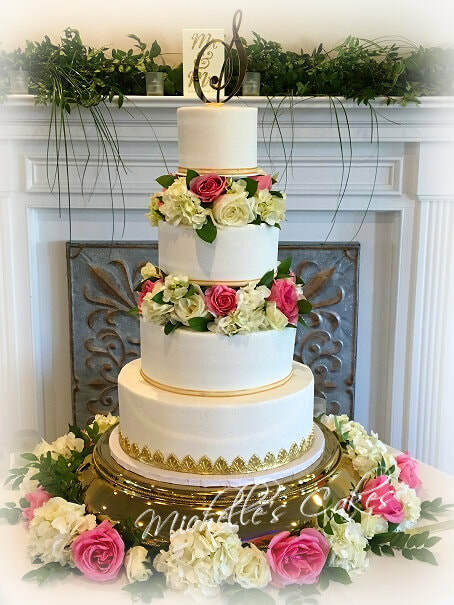 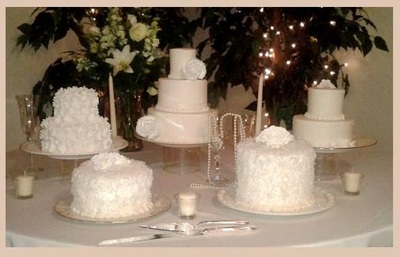 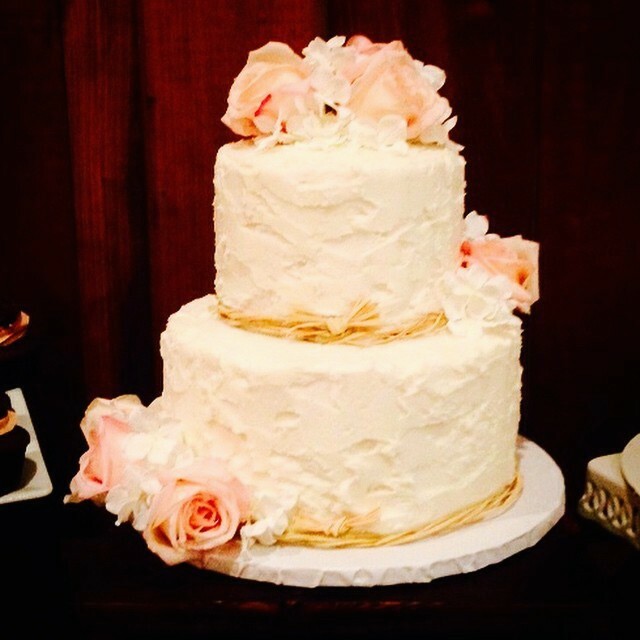 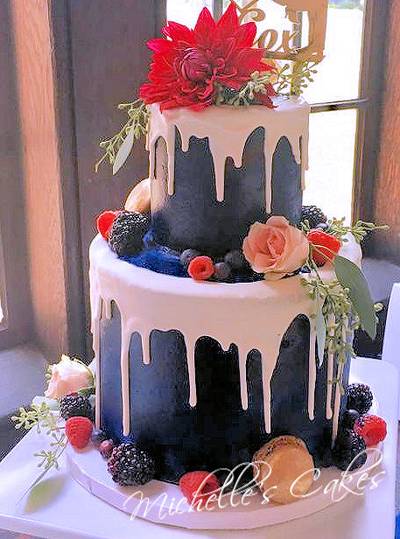 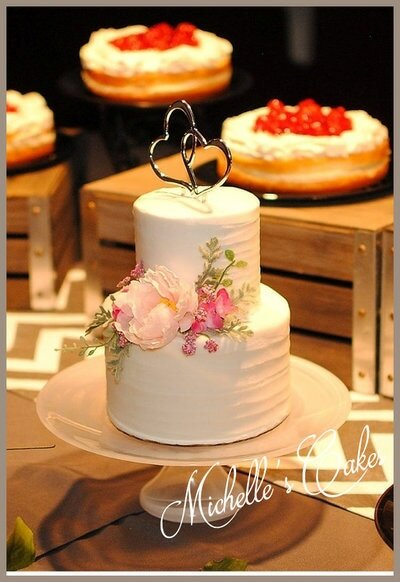 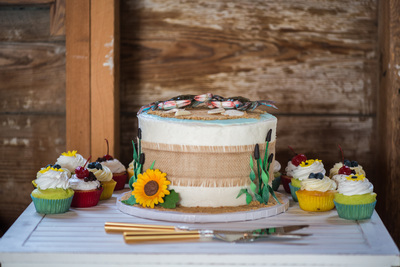 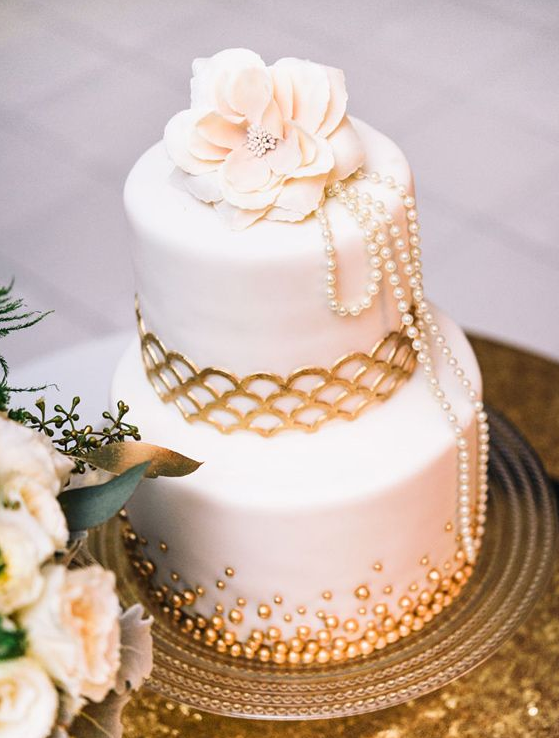 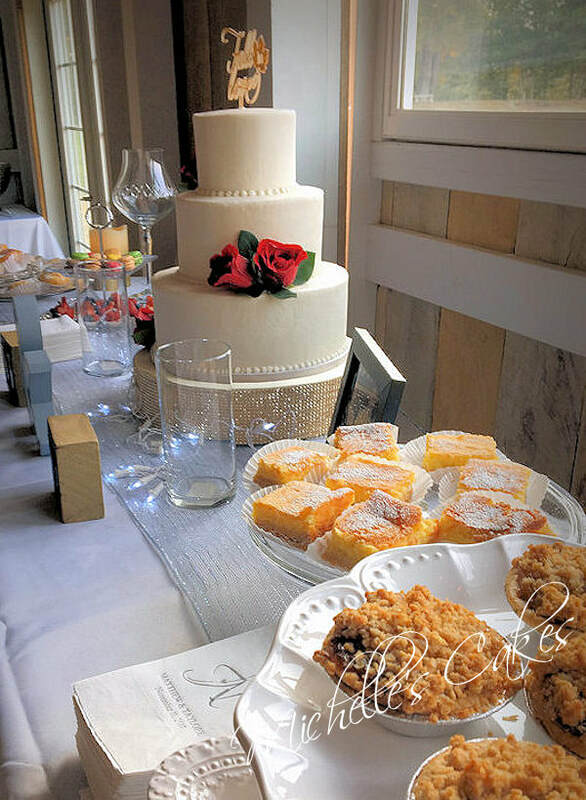 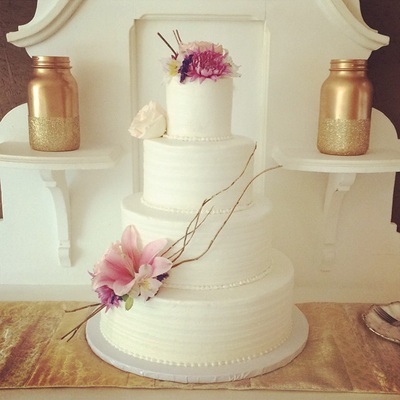 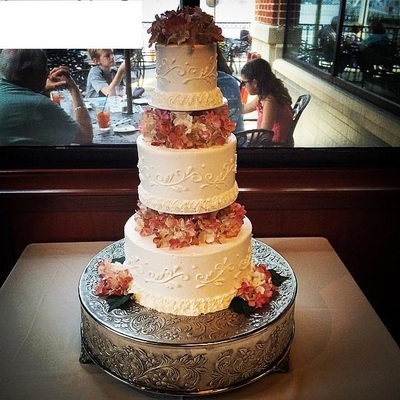 The cake has always been a focal point at the reception. 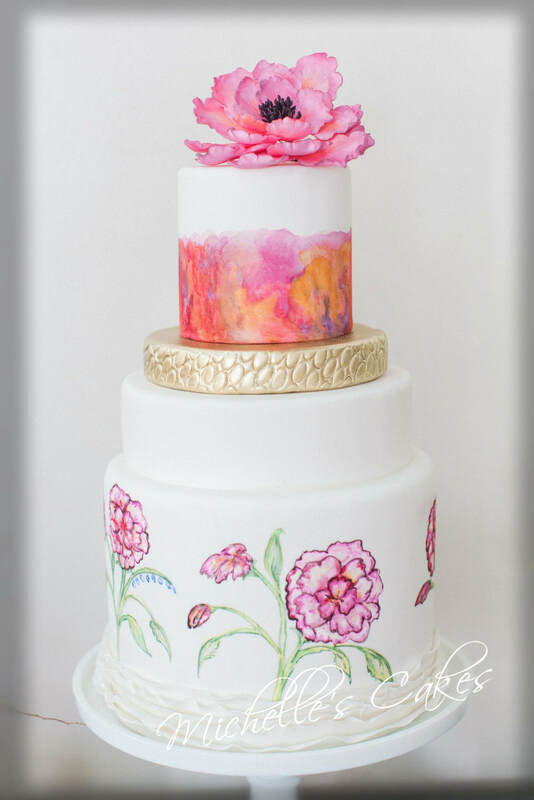 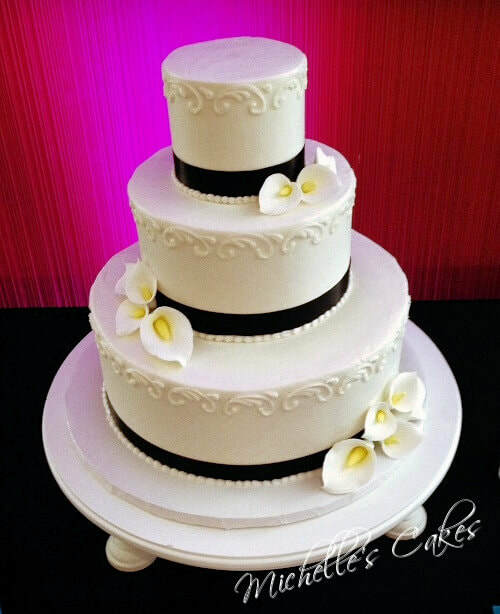 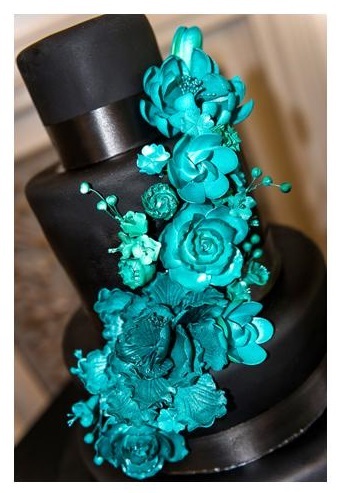 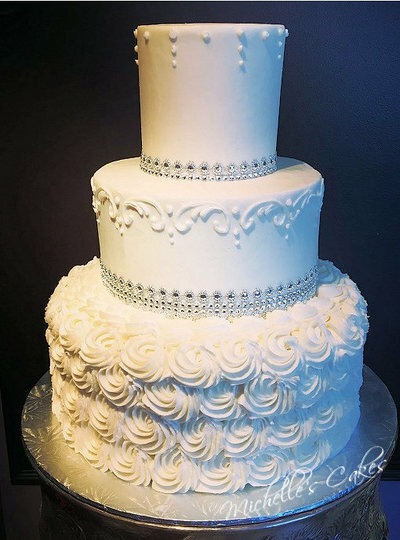 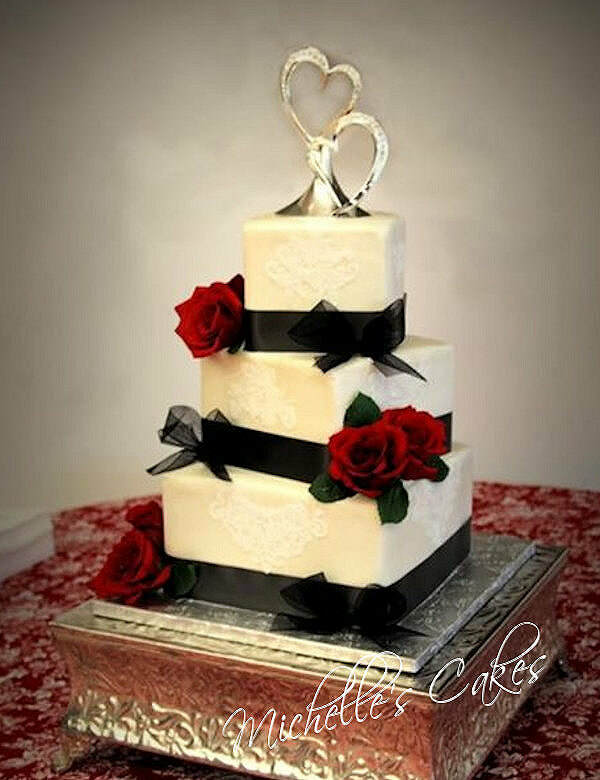 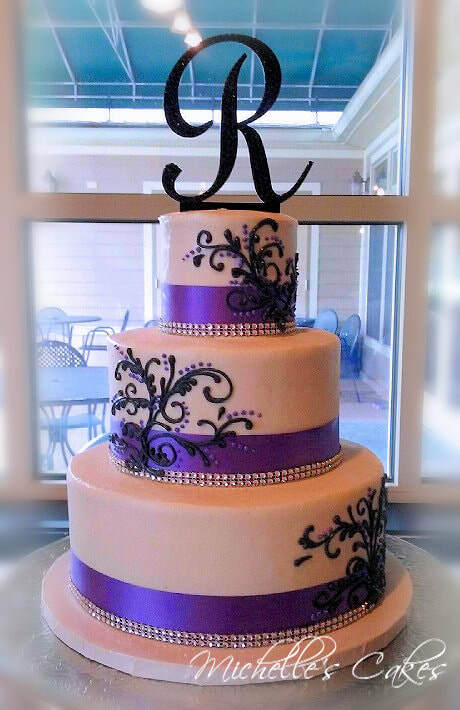 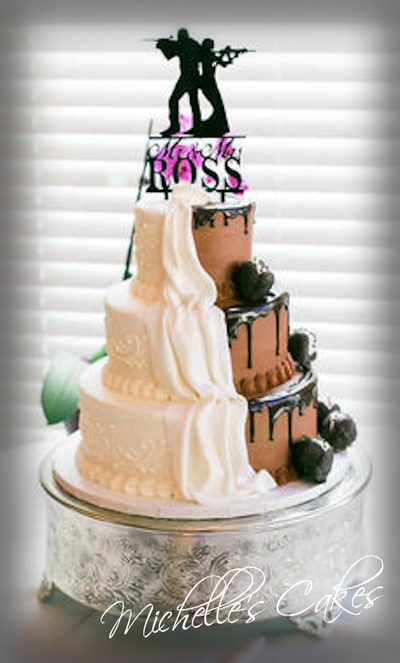 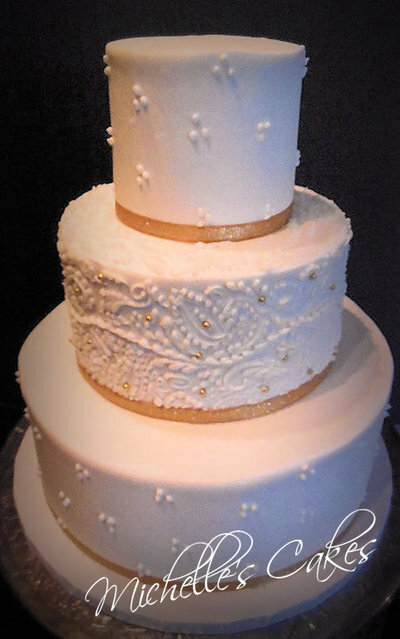 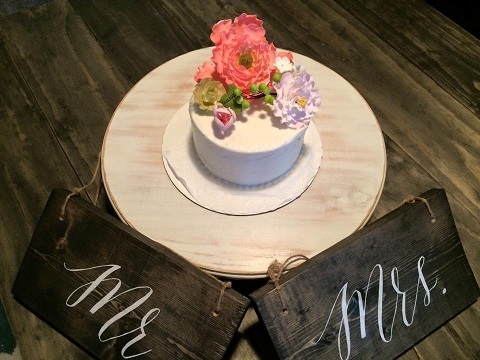 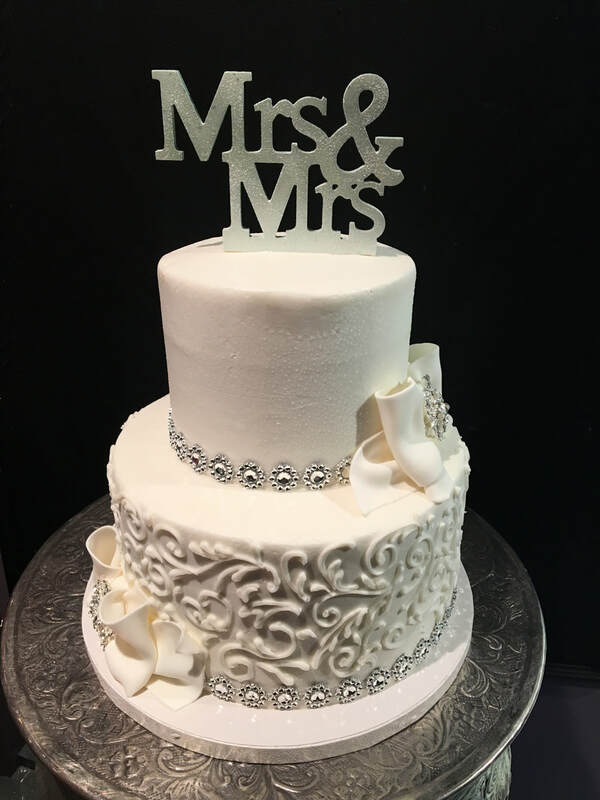 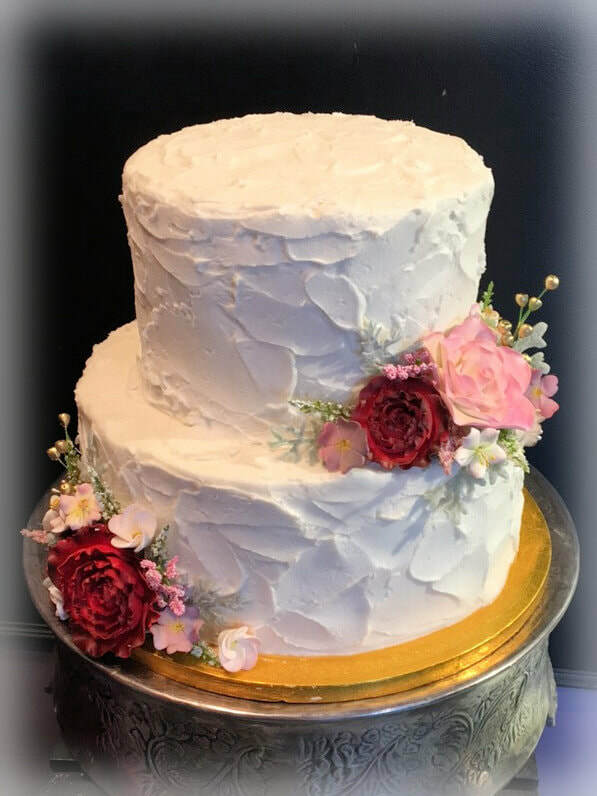 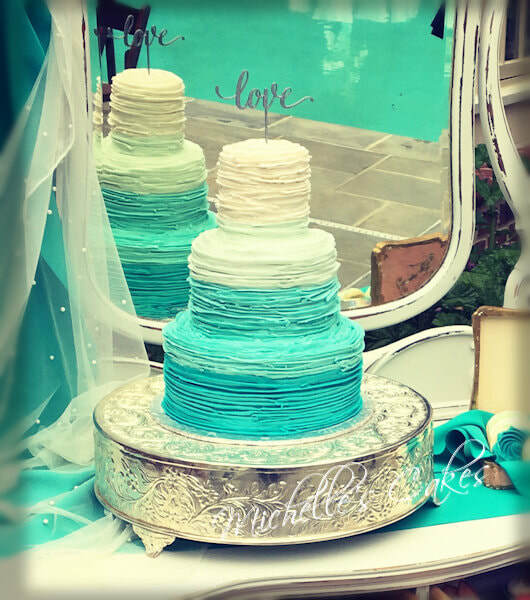 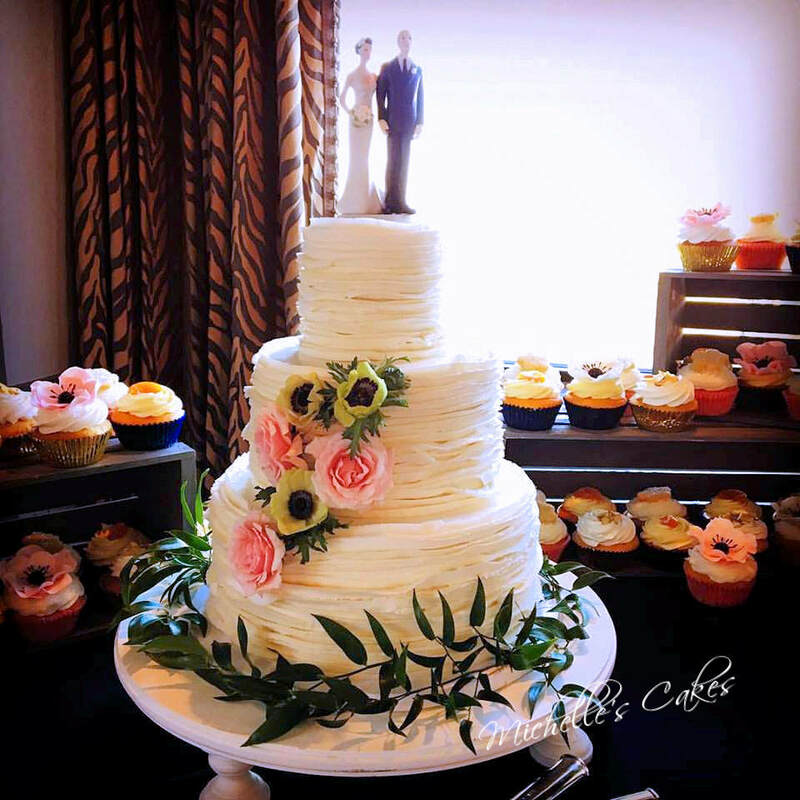 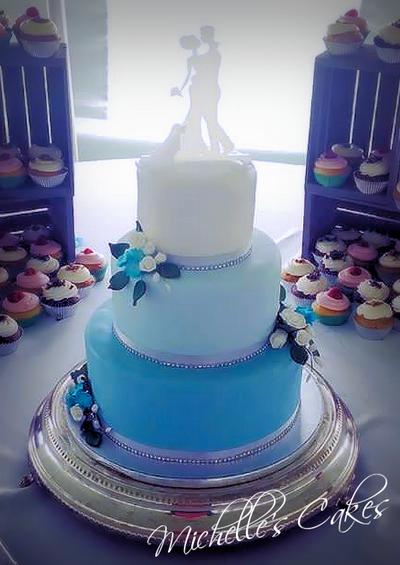 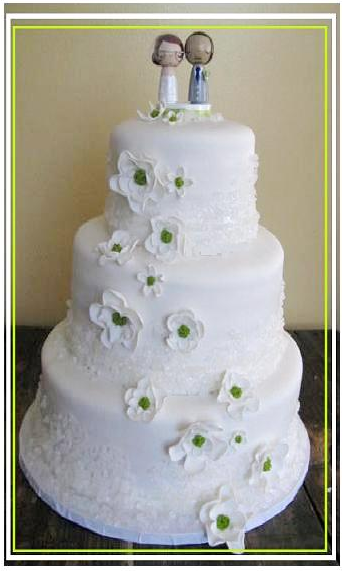 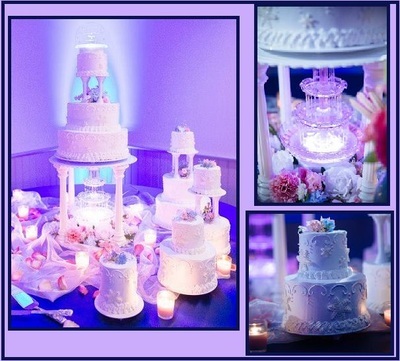 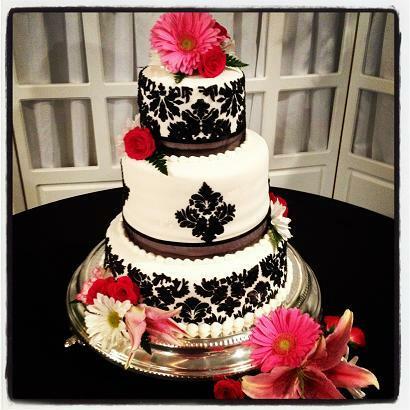 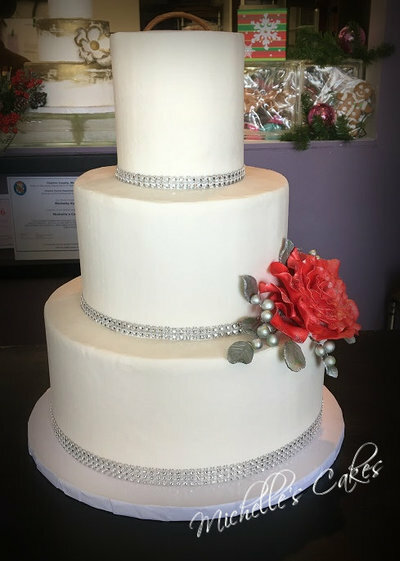 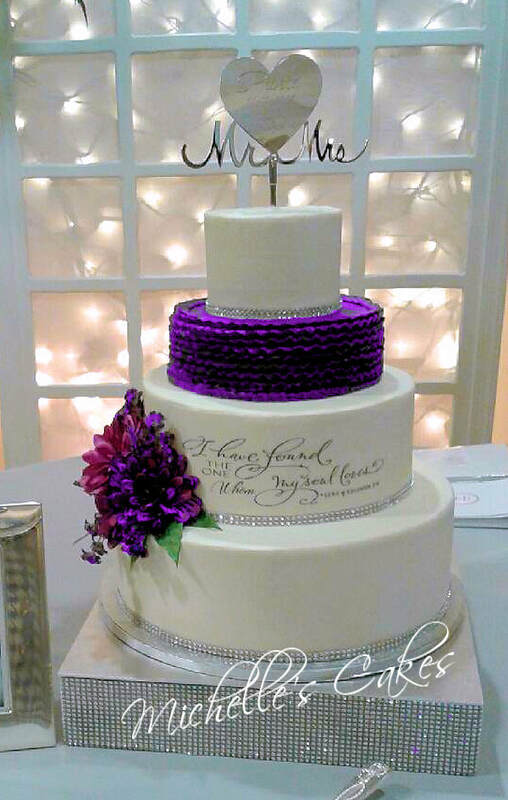 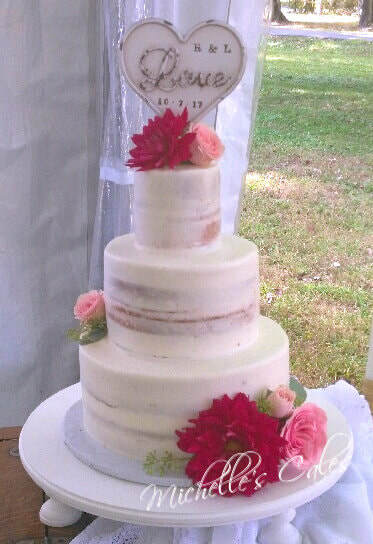 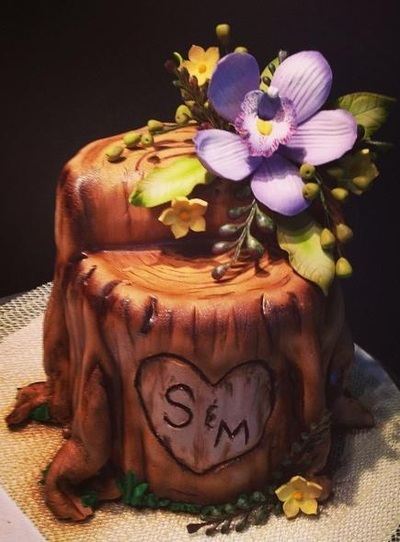 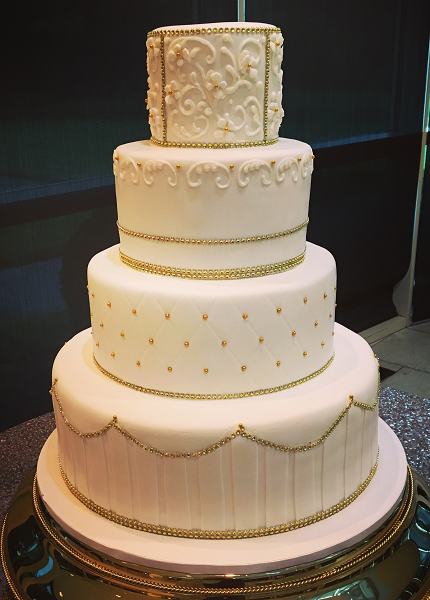 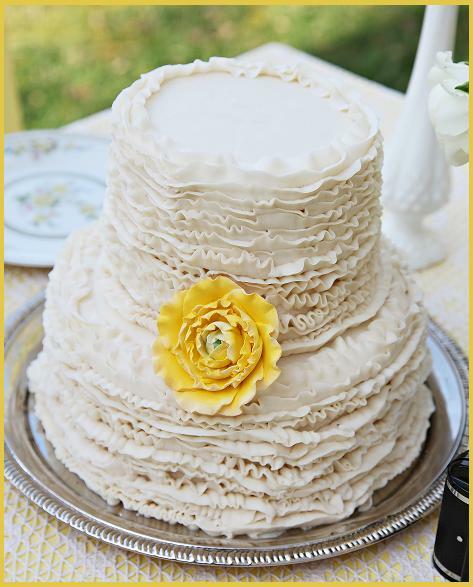 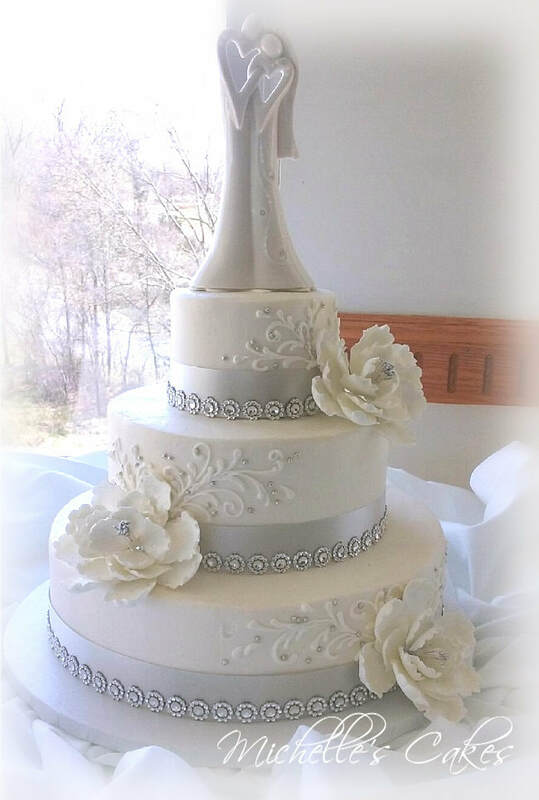 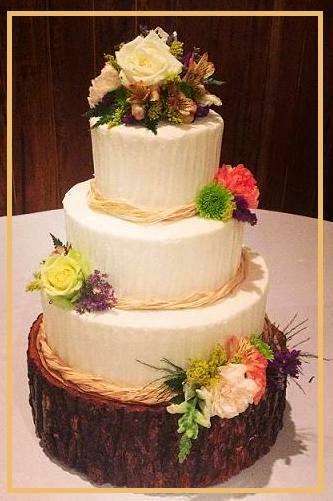 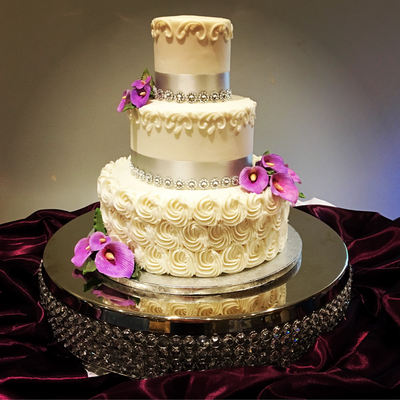 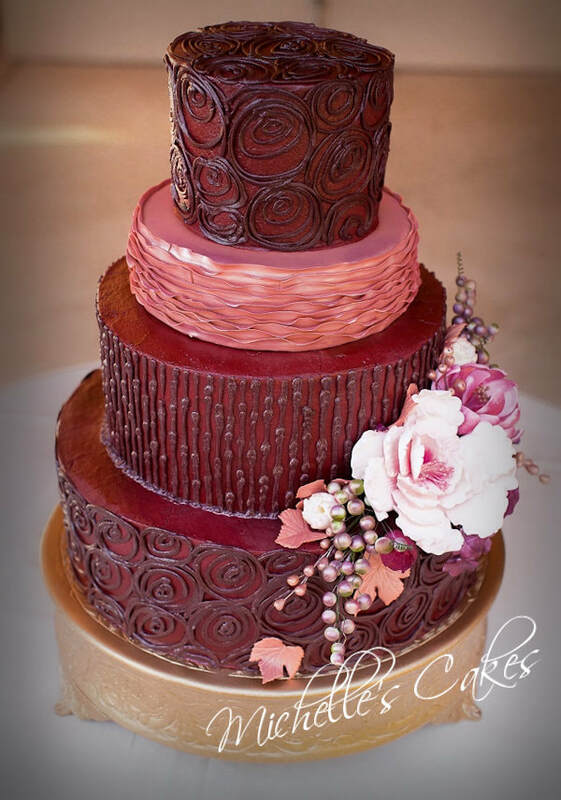 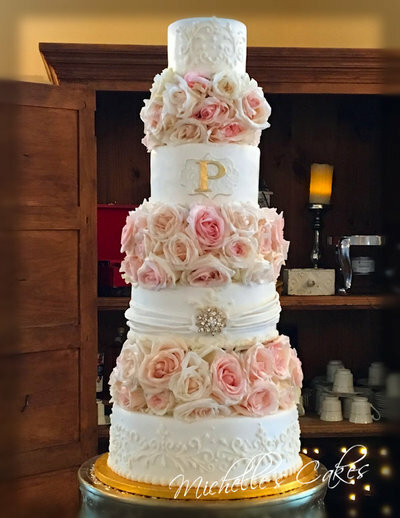 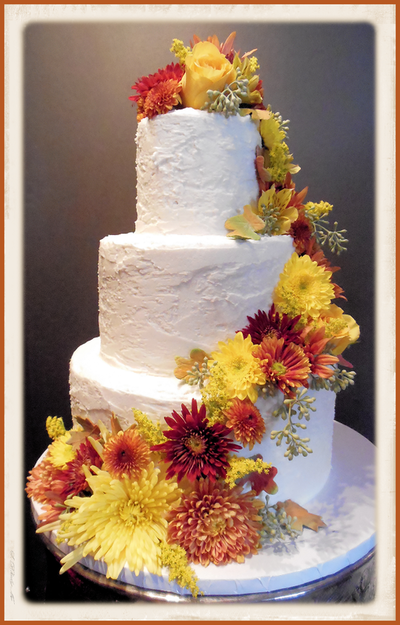 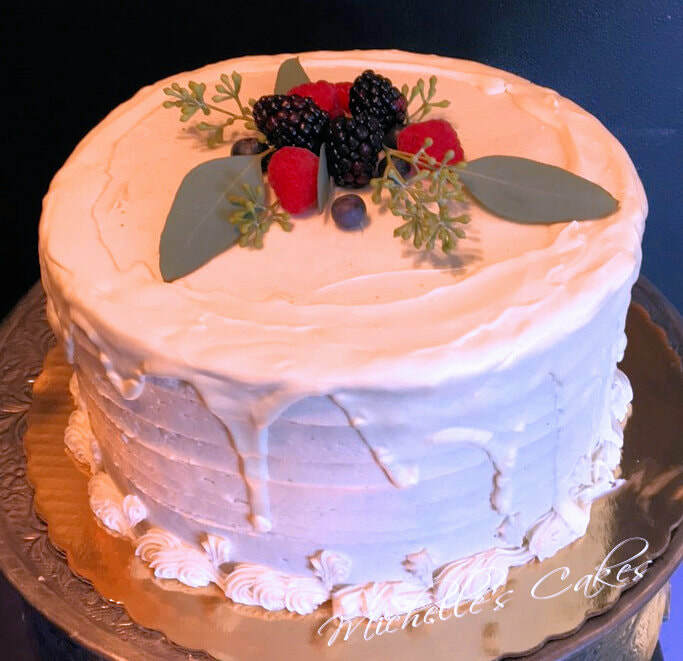 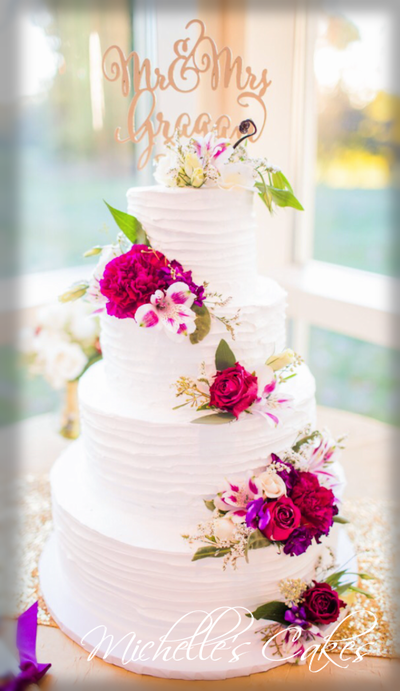 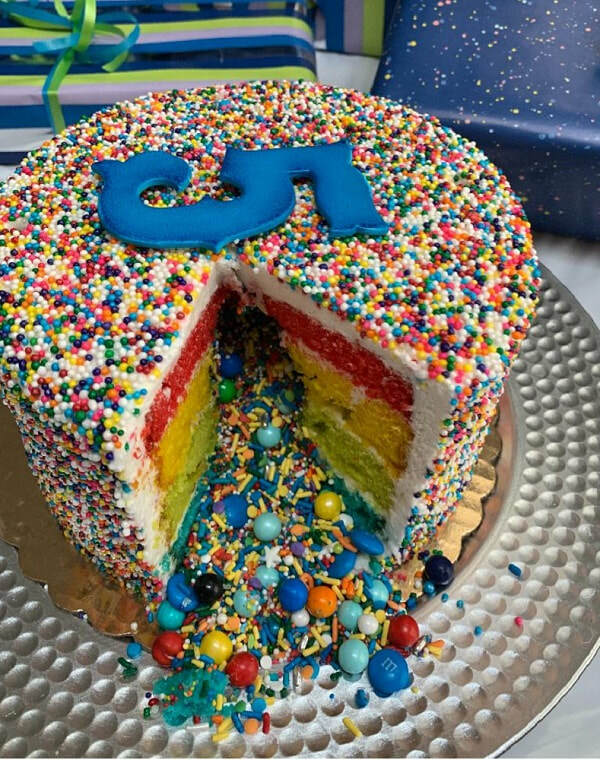 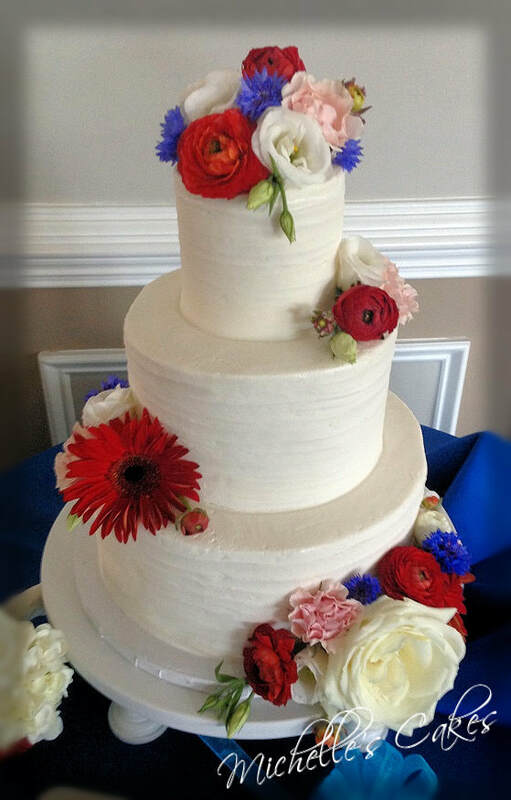 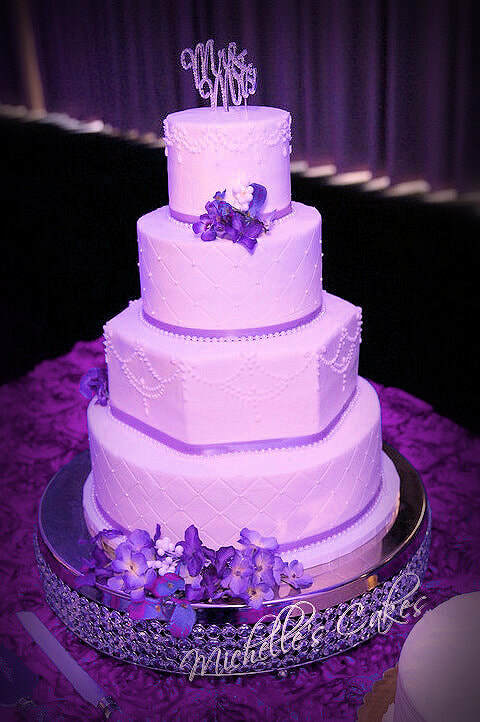 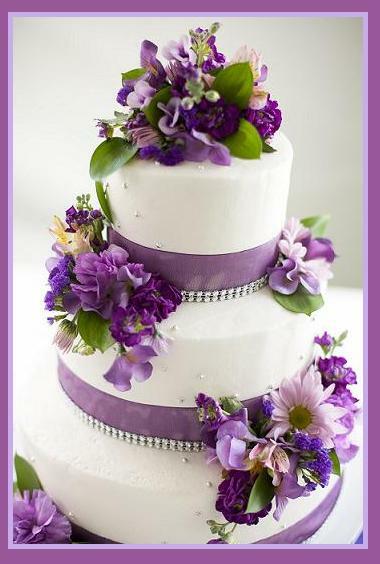 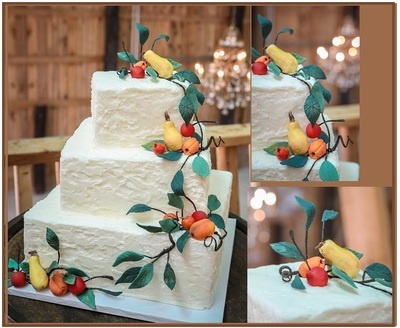 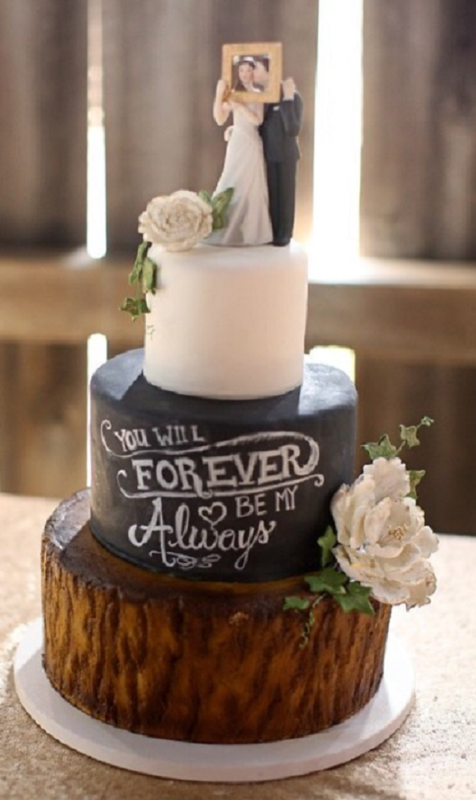 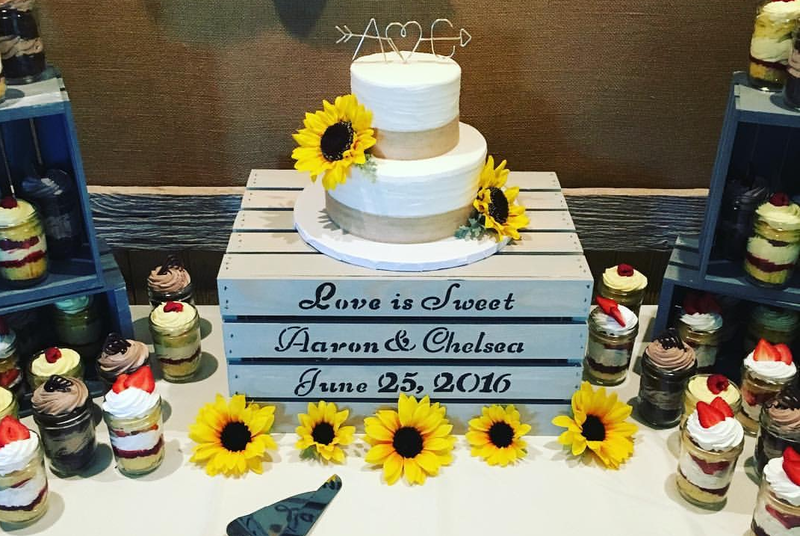 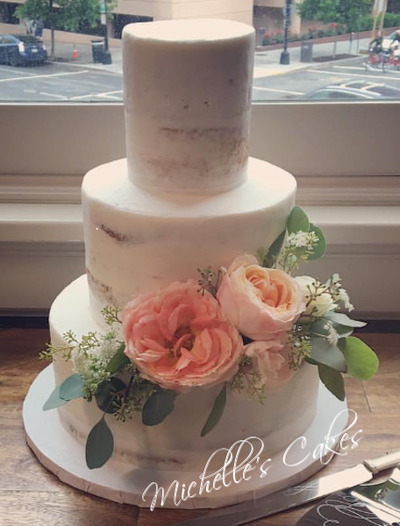 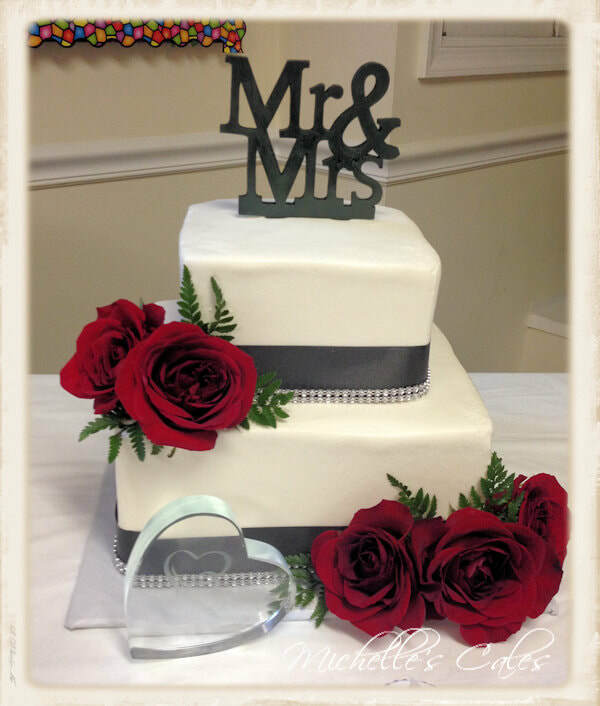 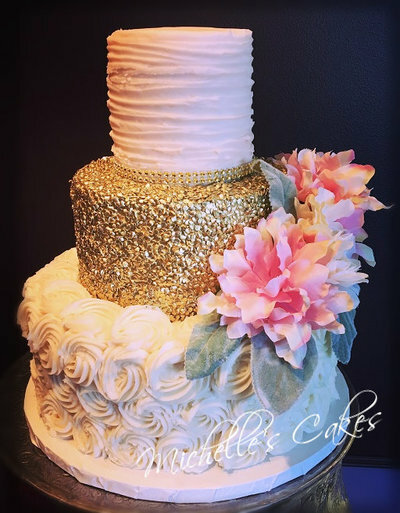 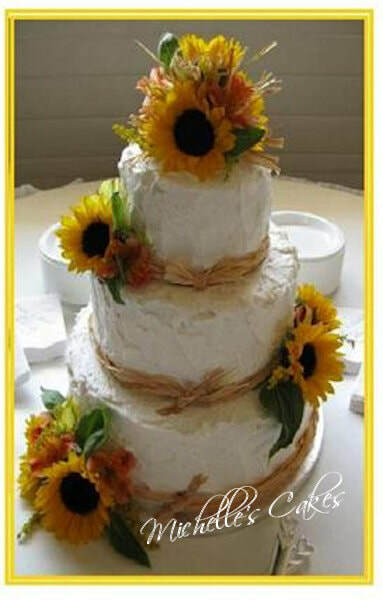 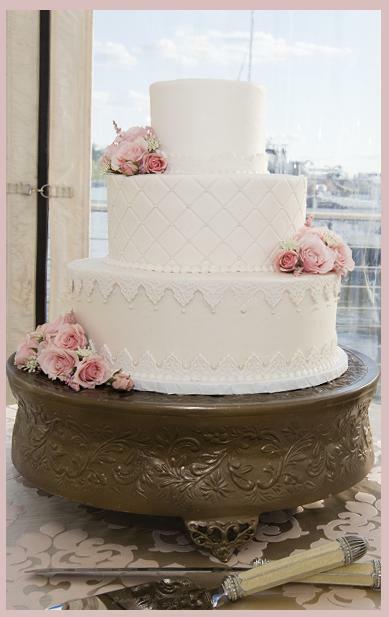 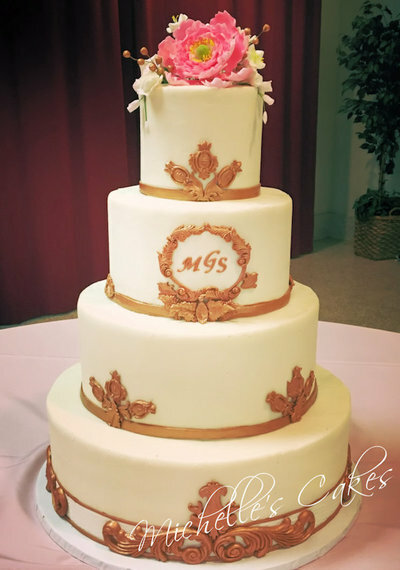 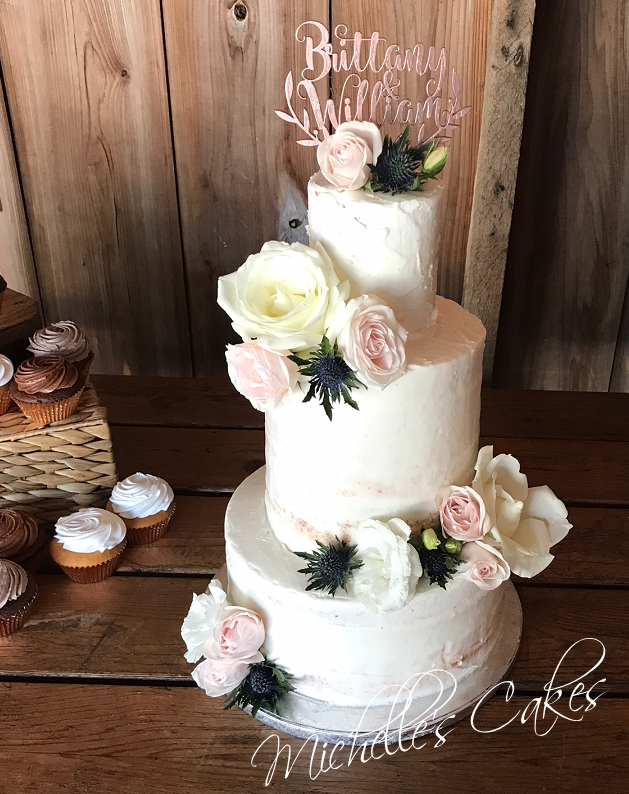 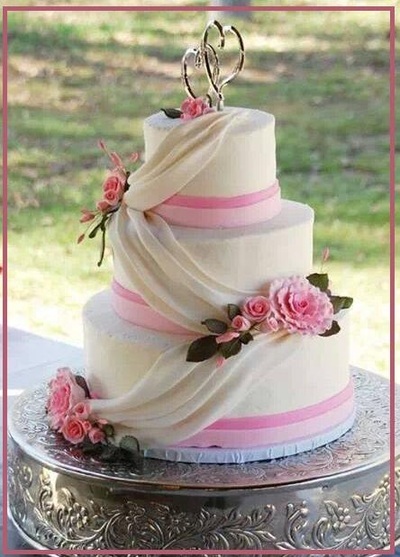 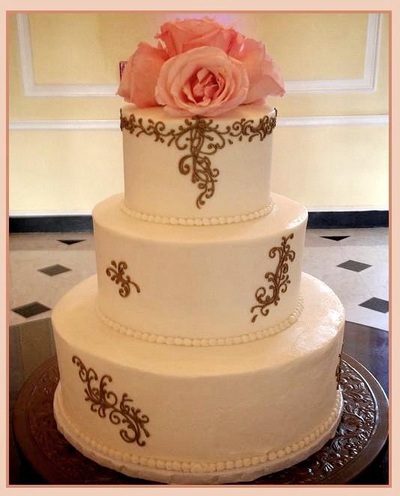 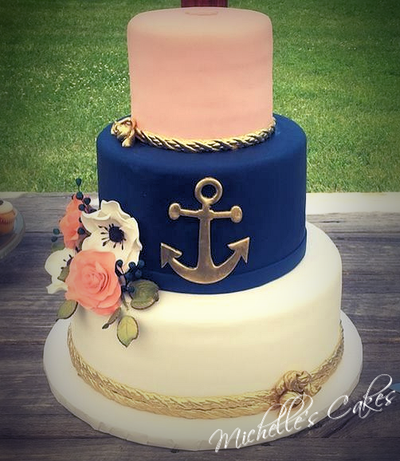 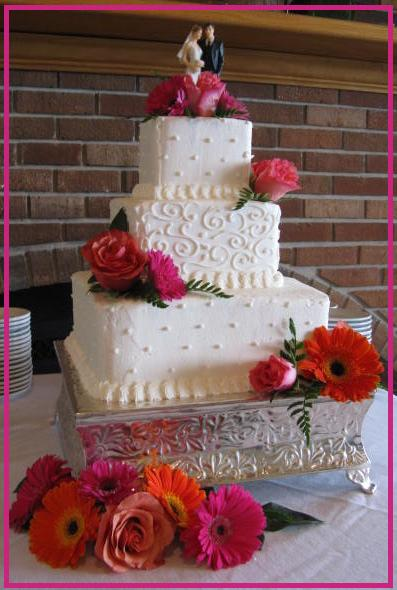 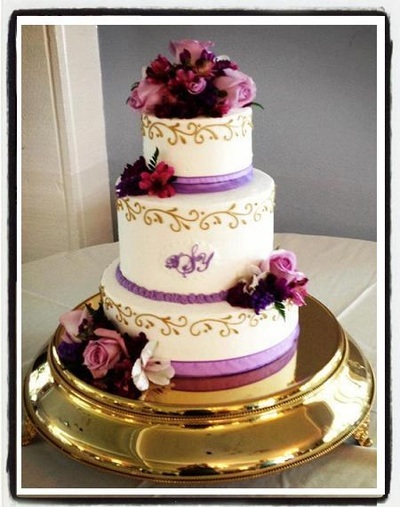 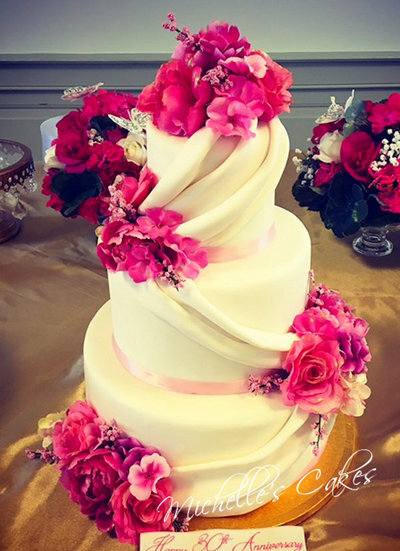 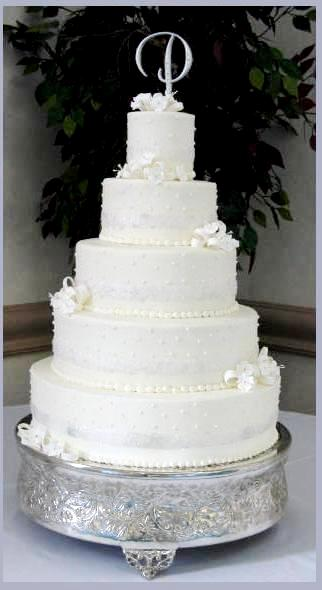 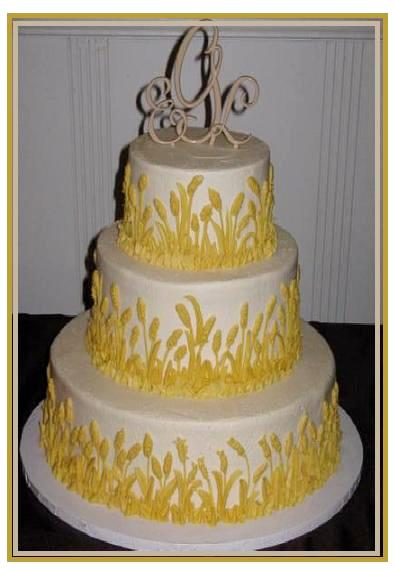 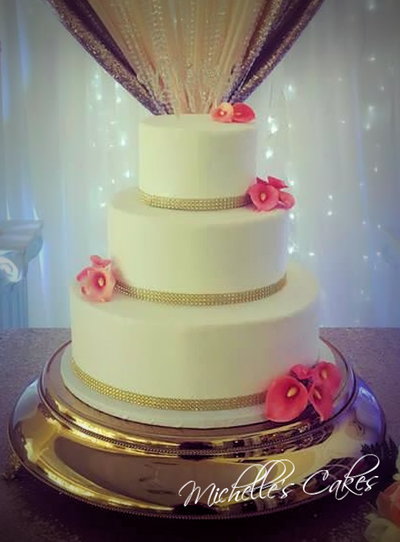 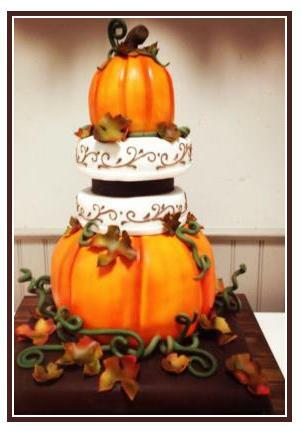 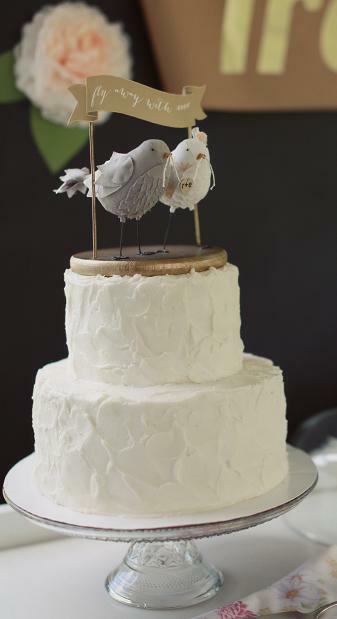 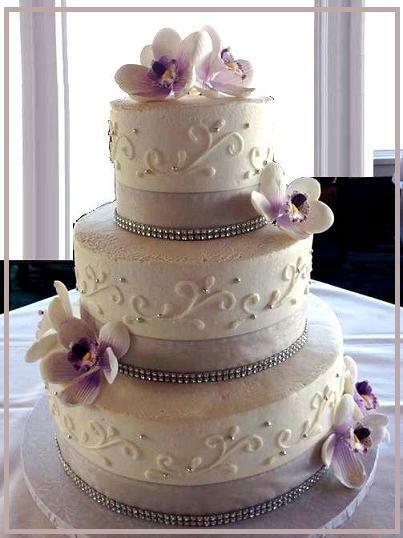 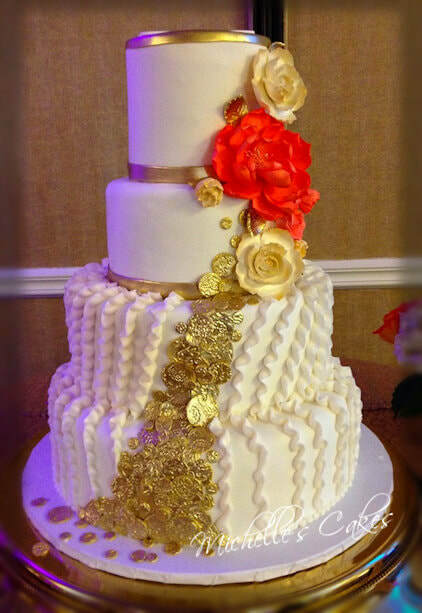 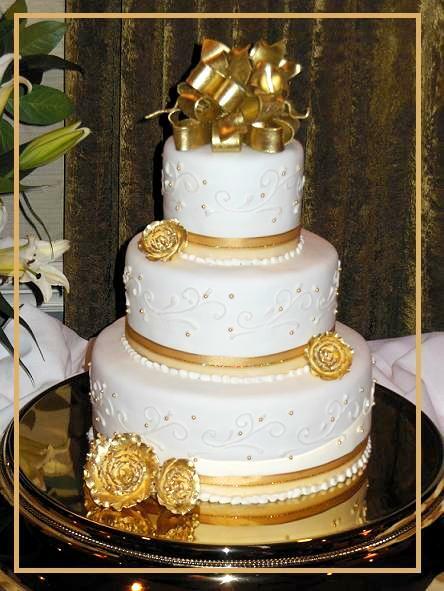 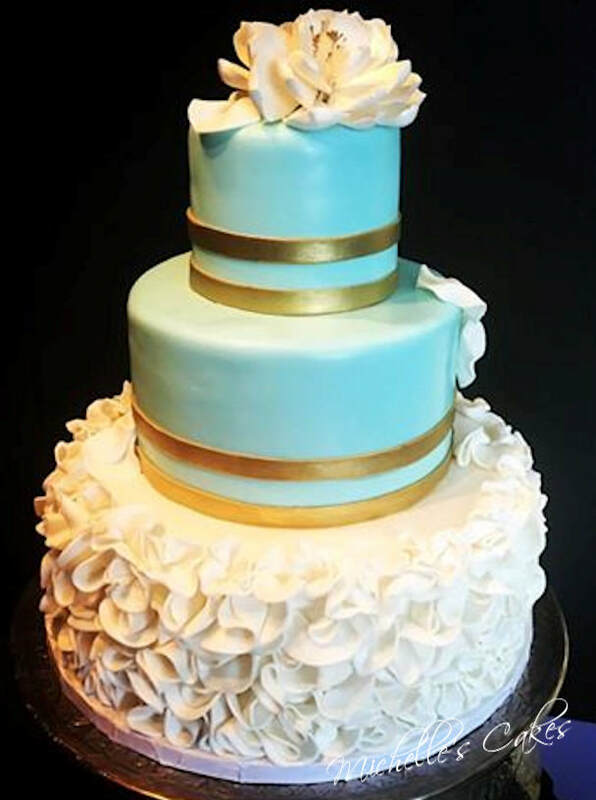 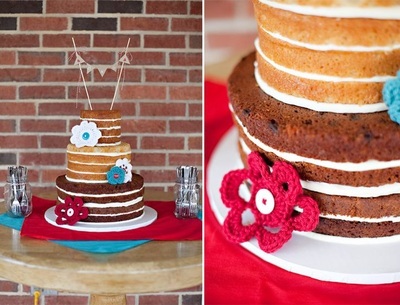 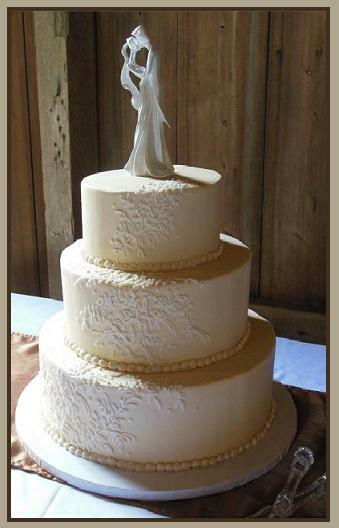 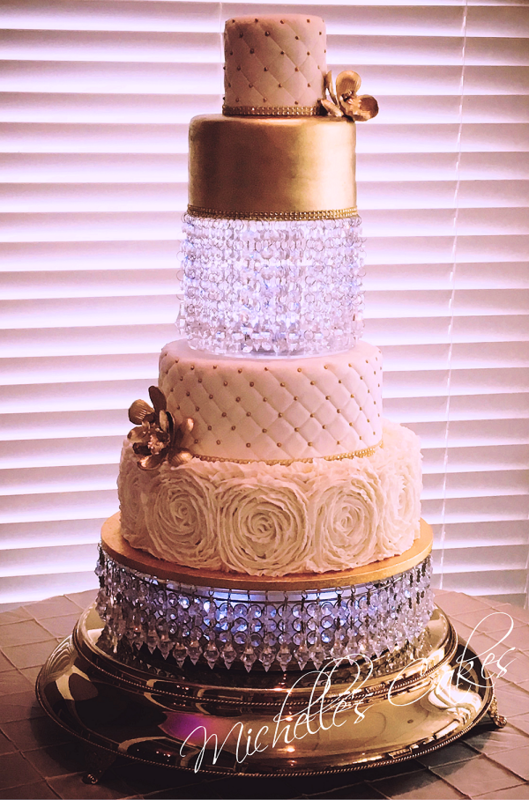 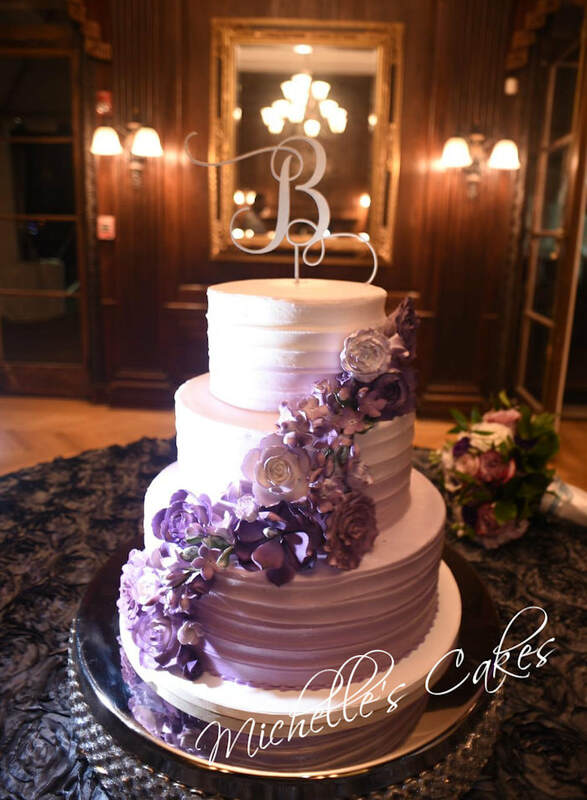 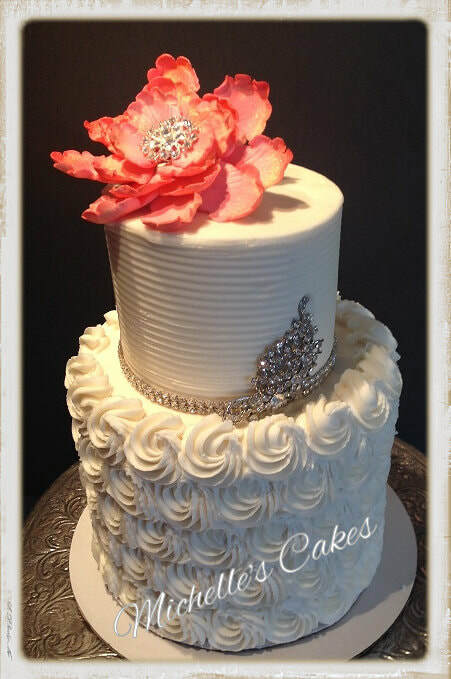 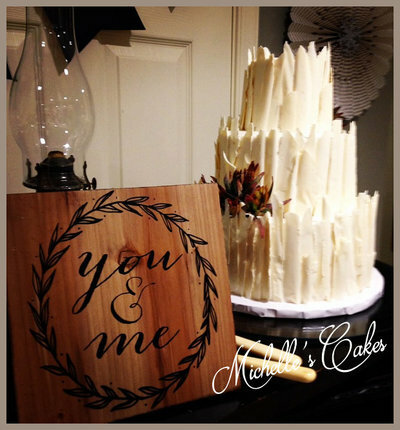 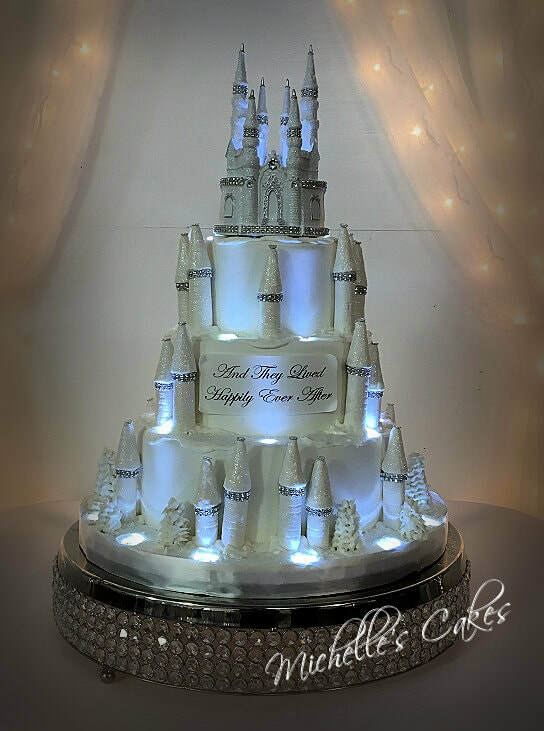 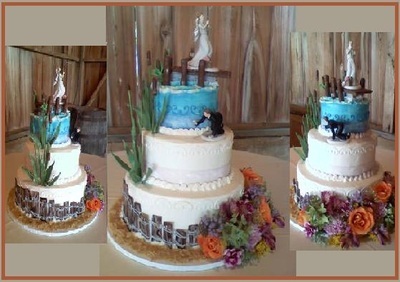 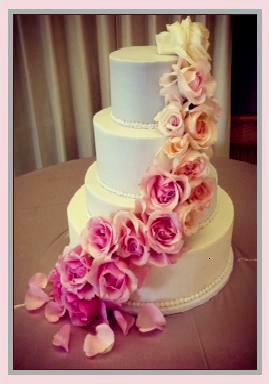 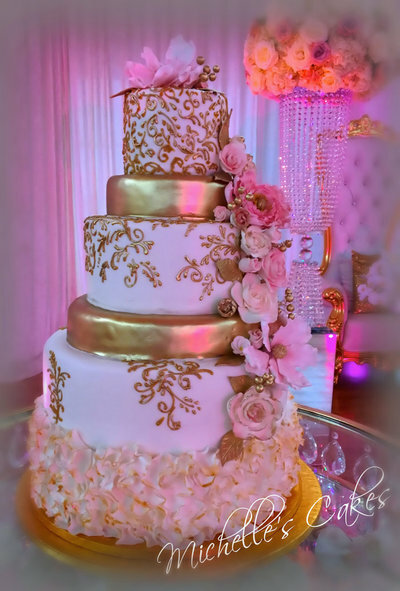 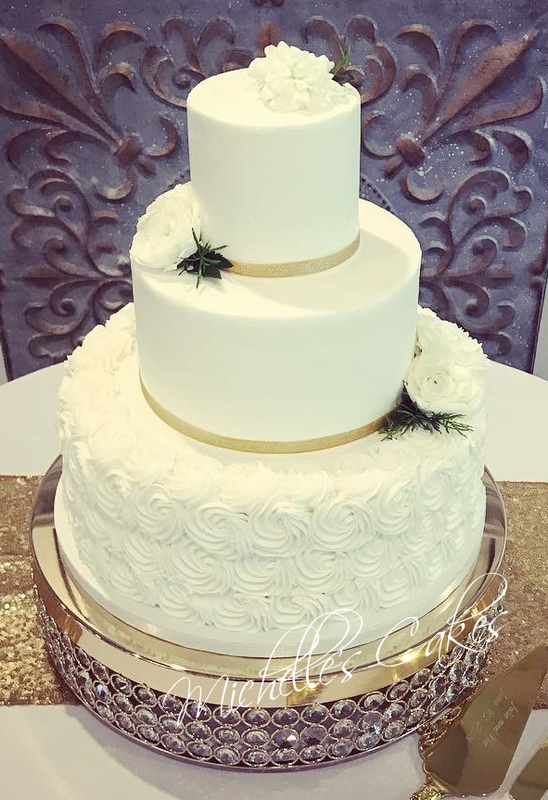 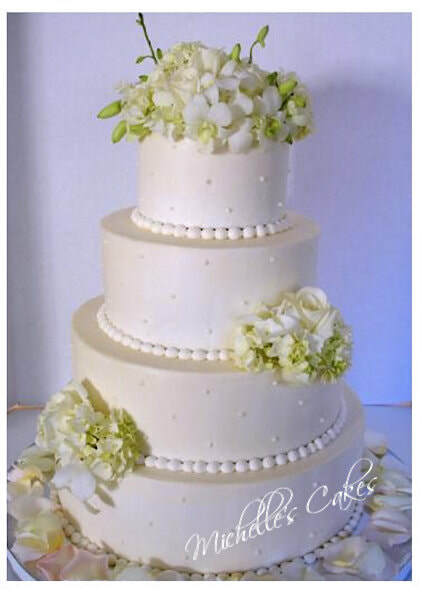 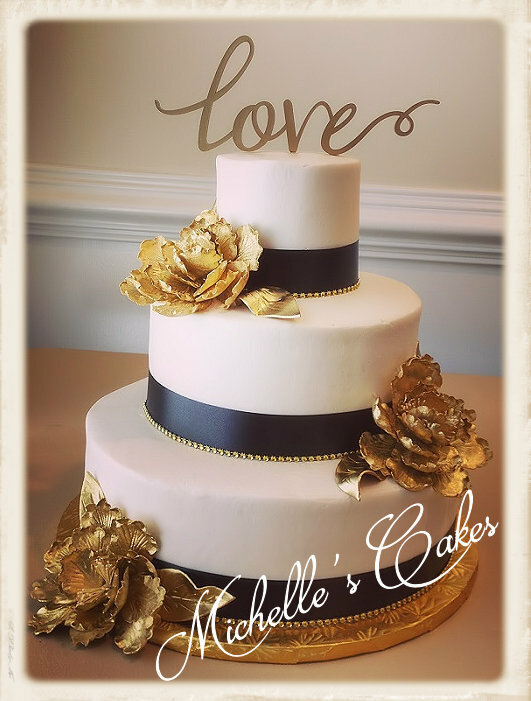 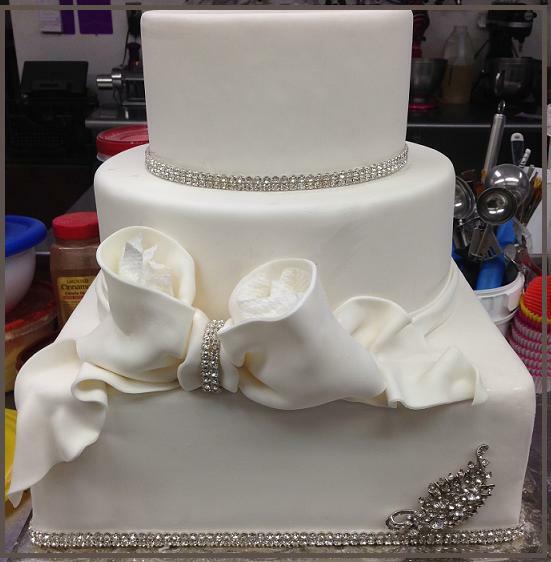 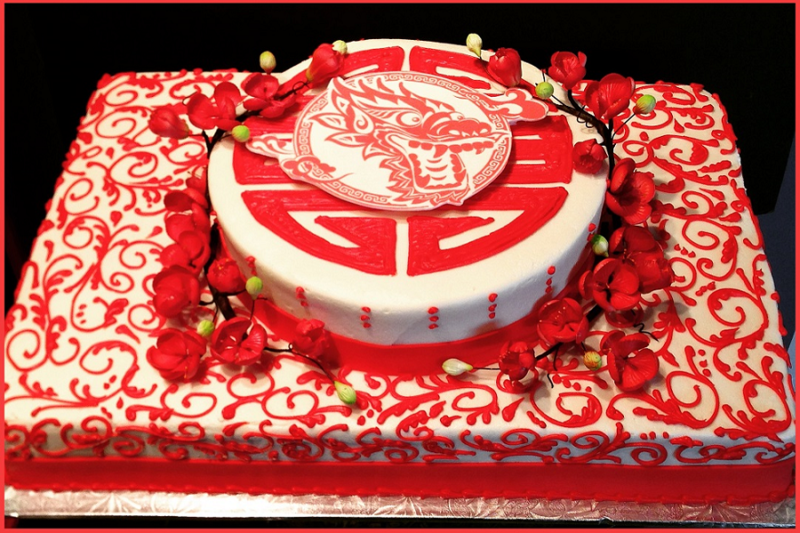 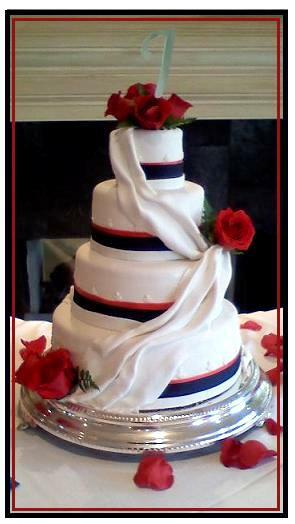 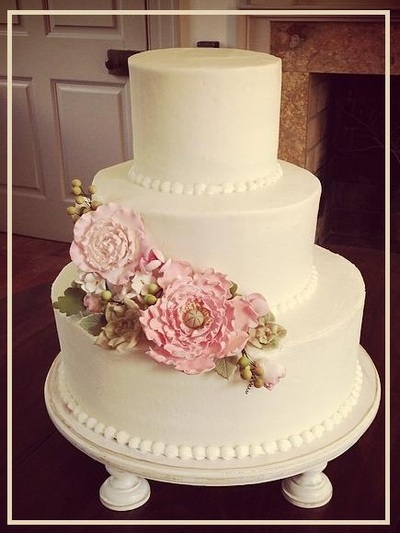 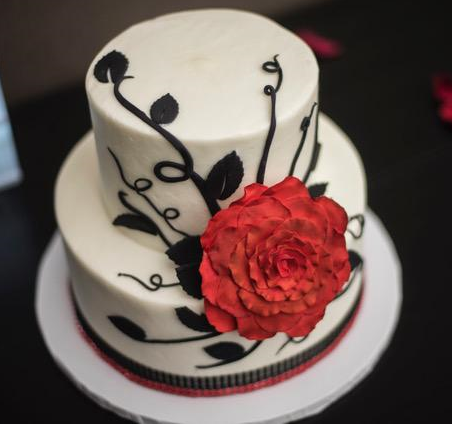 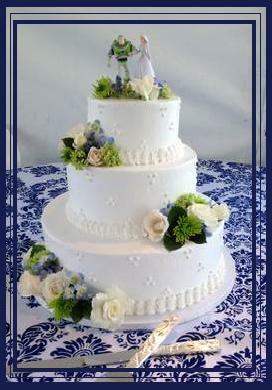 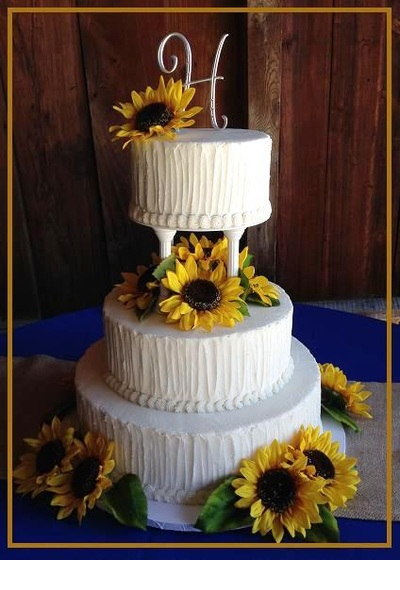 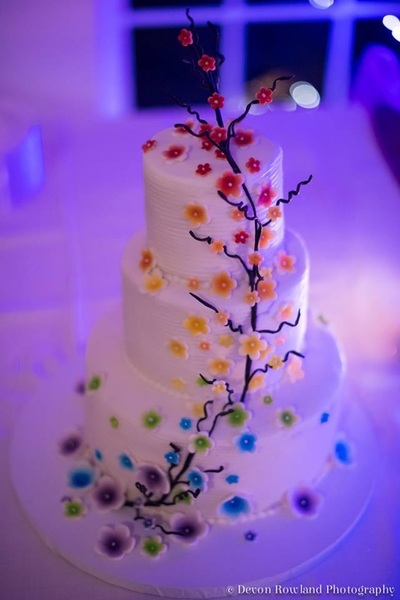 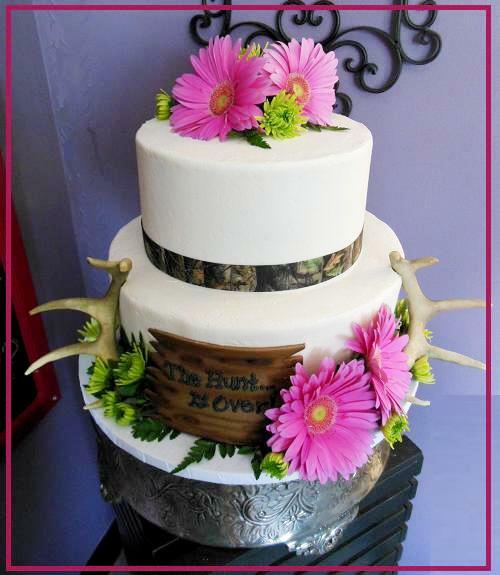 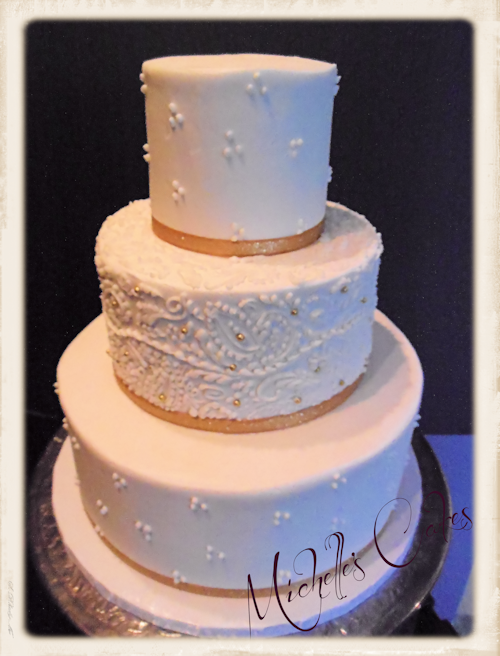 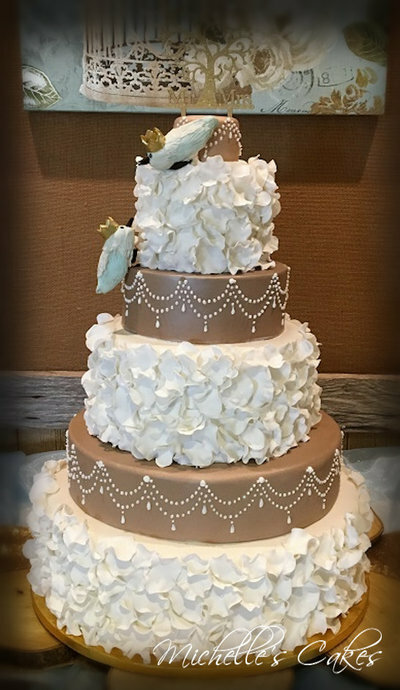 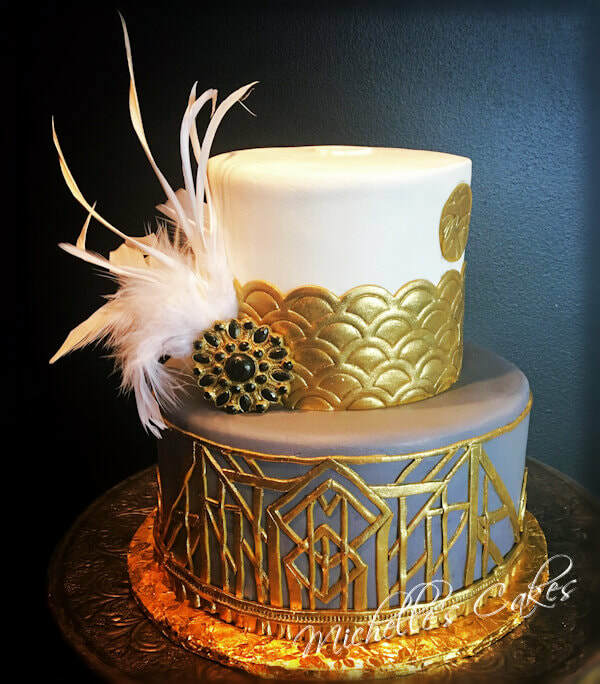 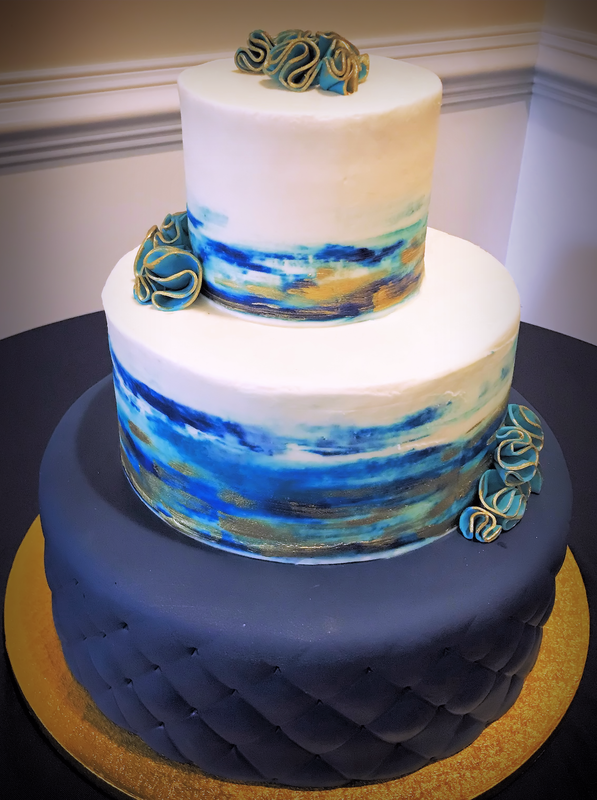 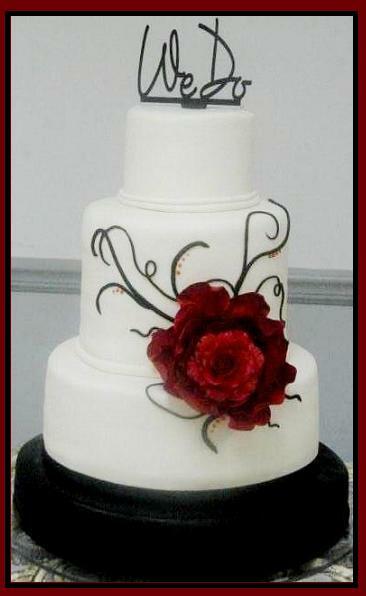 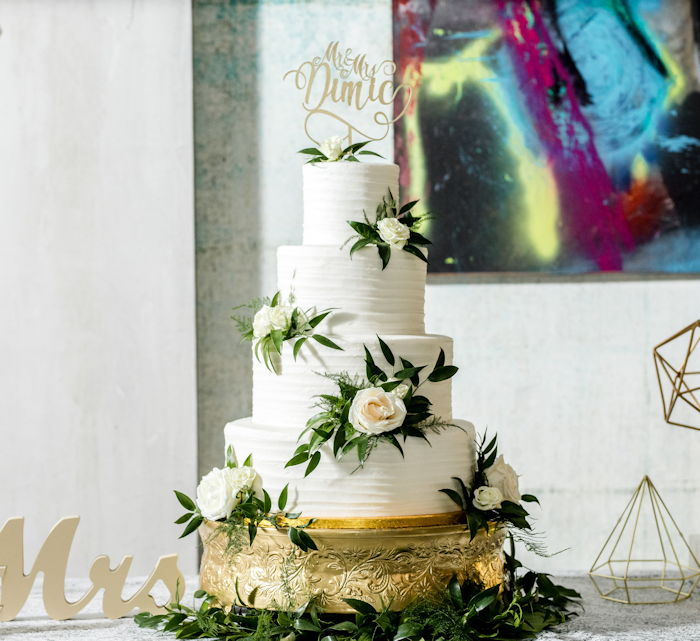 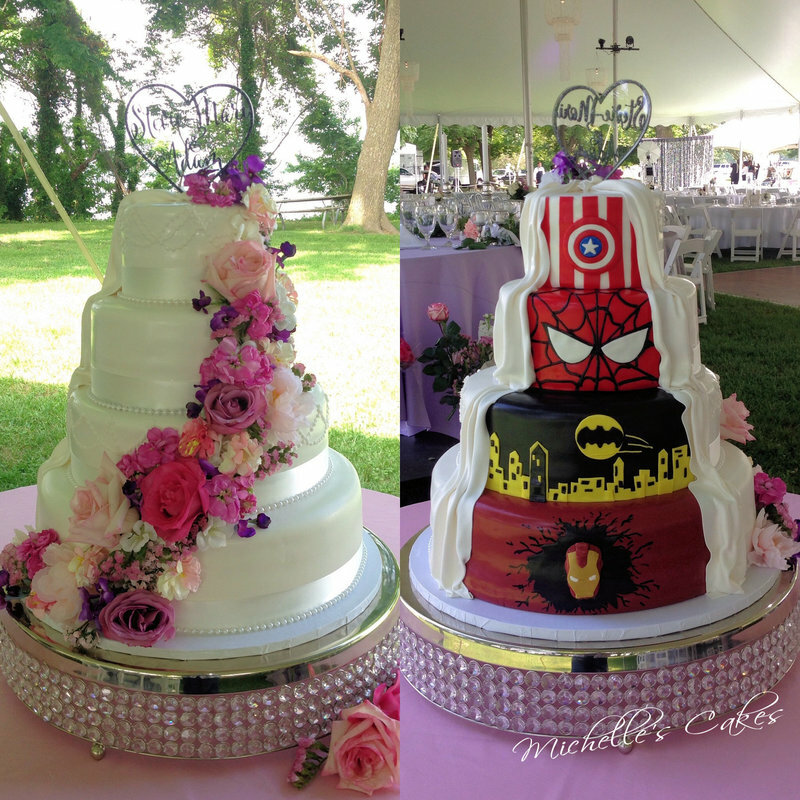 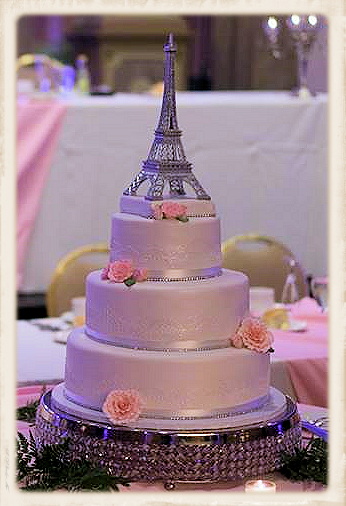 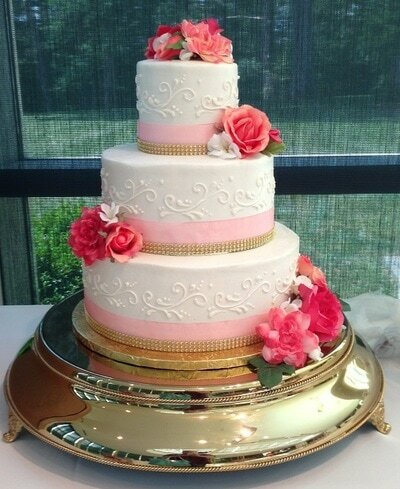 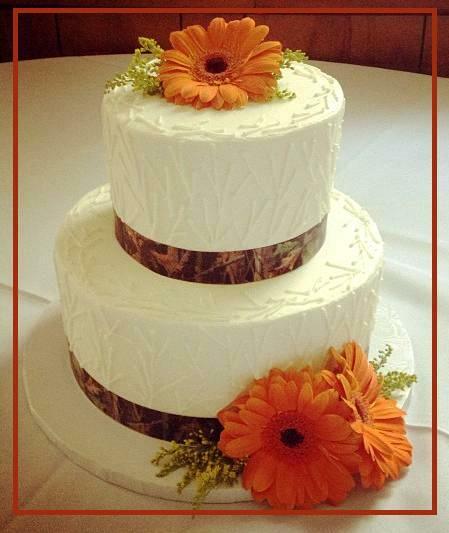 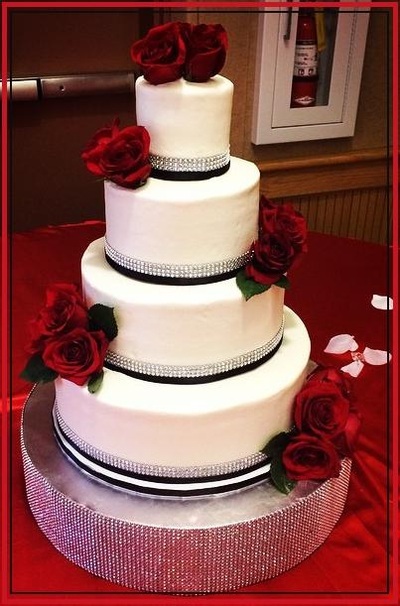 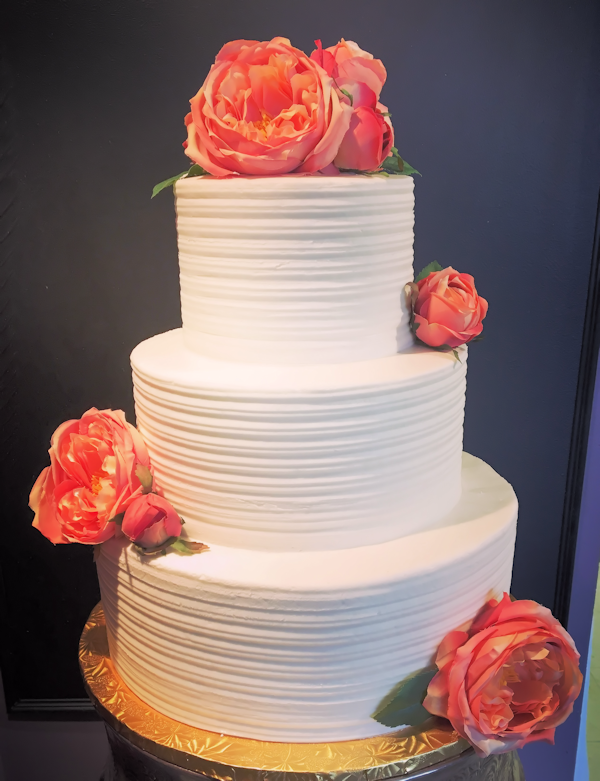 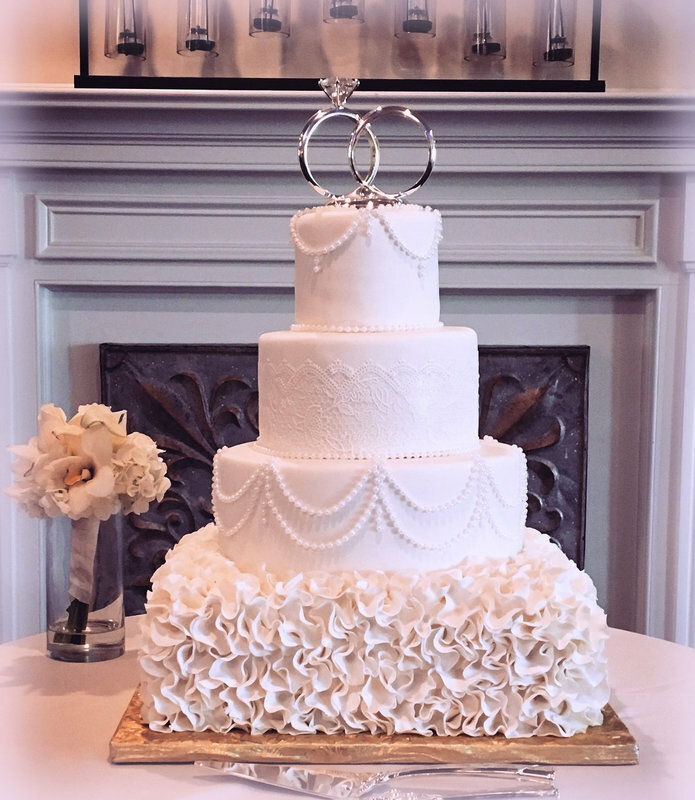 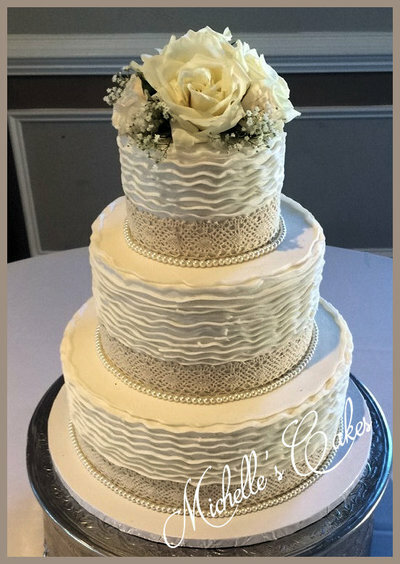 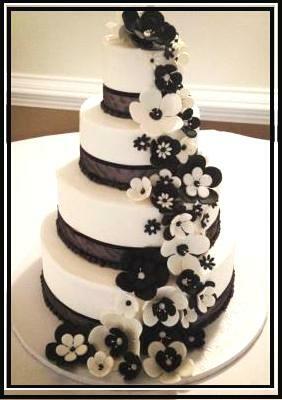 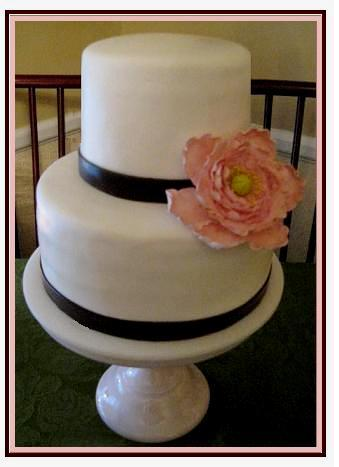 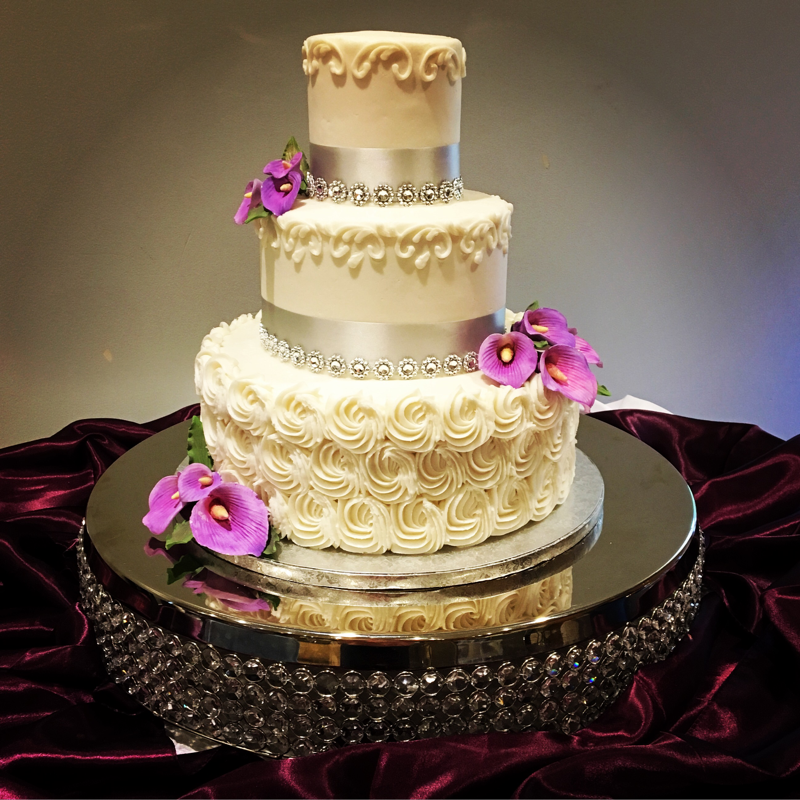 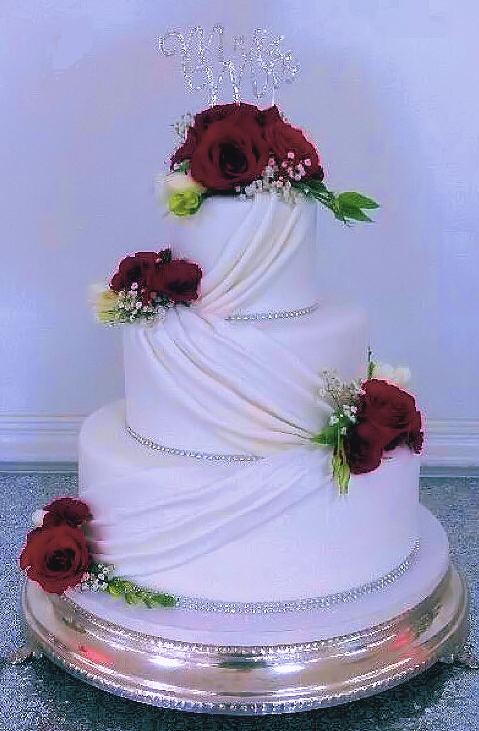 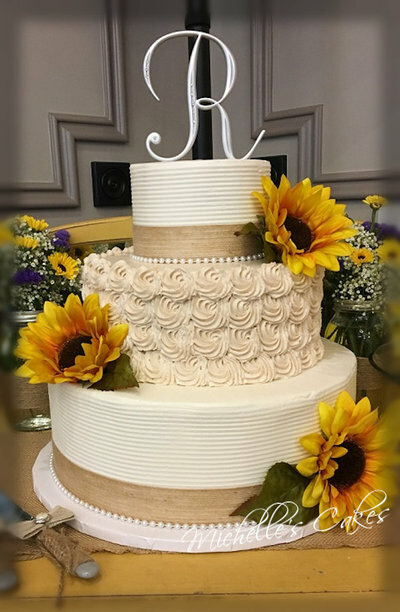 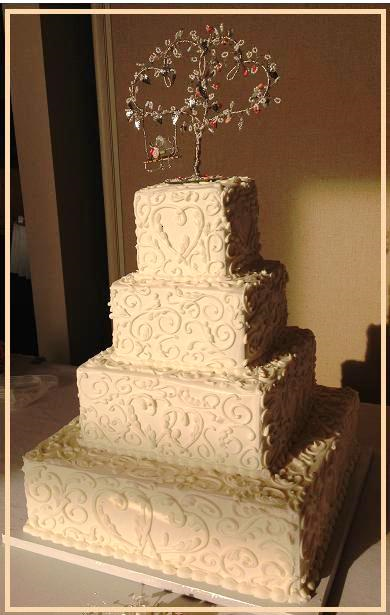 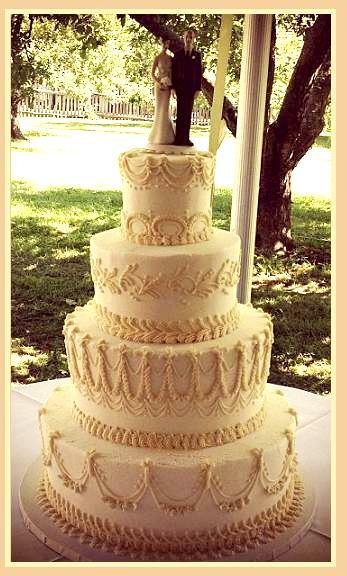 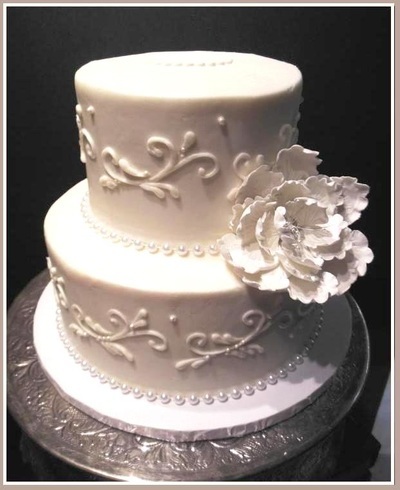 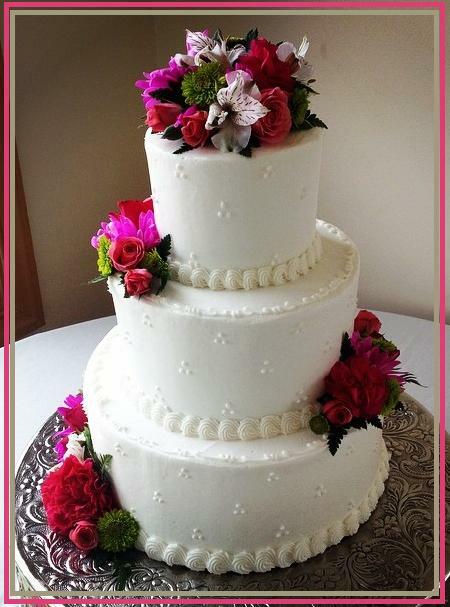 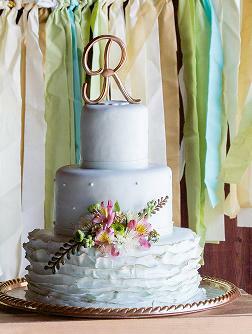 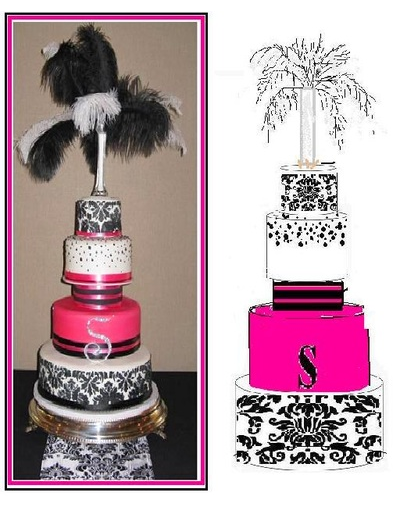 Cakes today are no longer just the pretty centerpiece, but a work of art that represents you both. 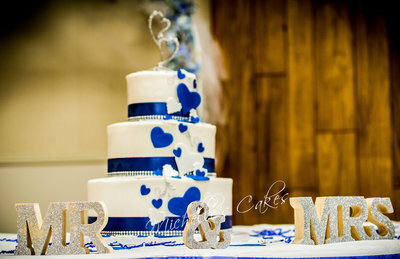 The first decision on style you both will make together. 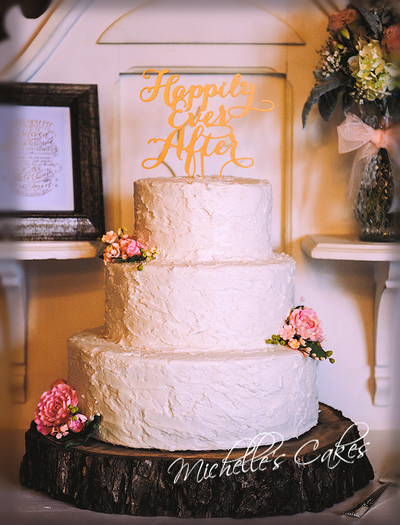 And the sweetest ending to your special day. MAY, SEPT, & OCT go very quickly ! 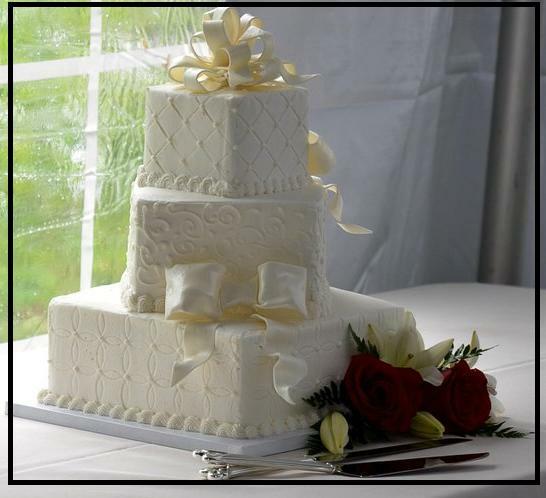 Make a deposit to confirm your date and take your time to come in for a consulation. We do have minimums for deliveries. 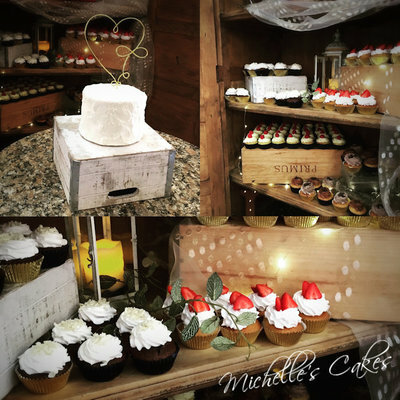 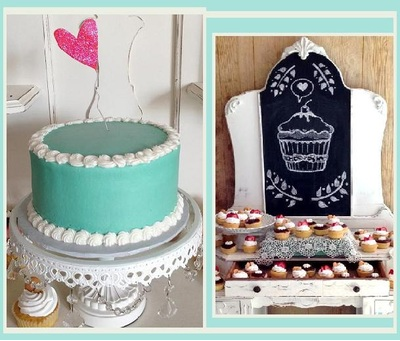 Please inquire on small cake and cupcake/dessert delivery options.